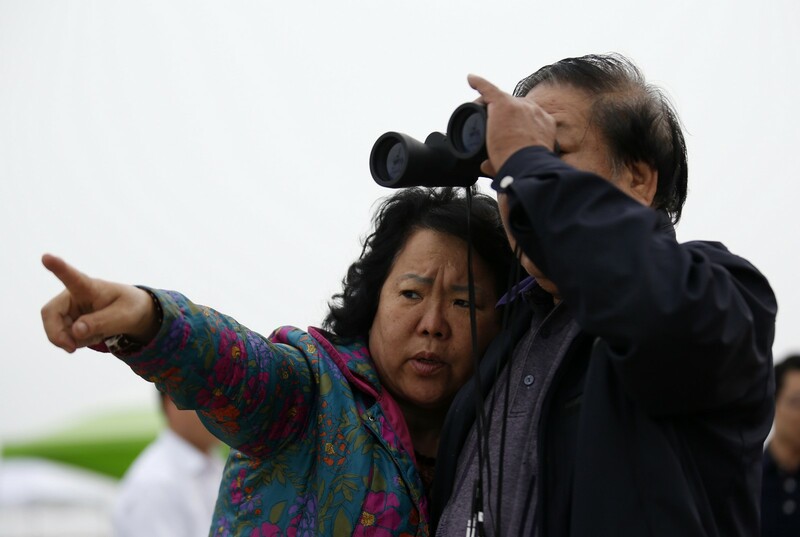 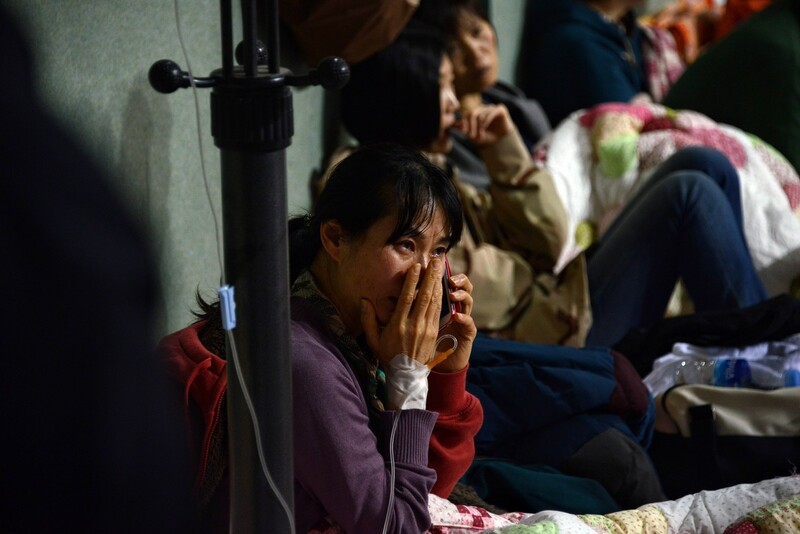 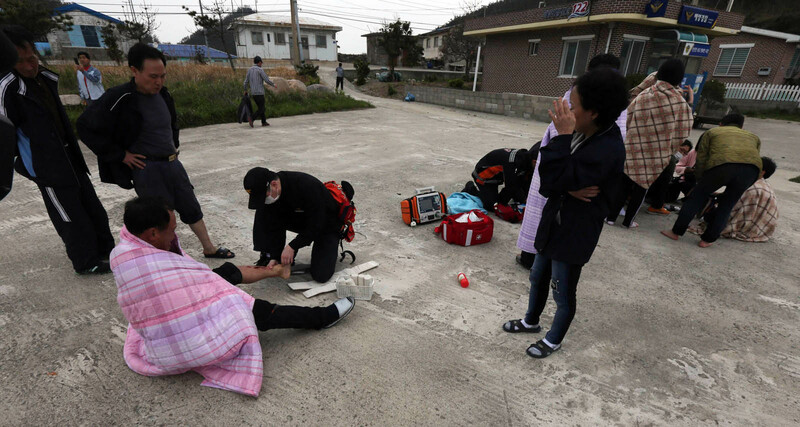 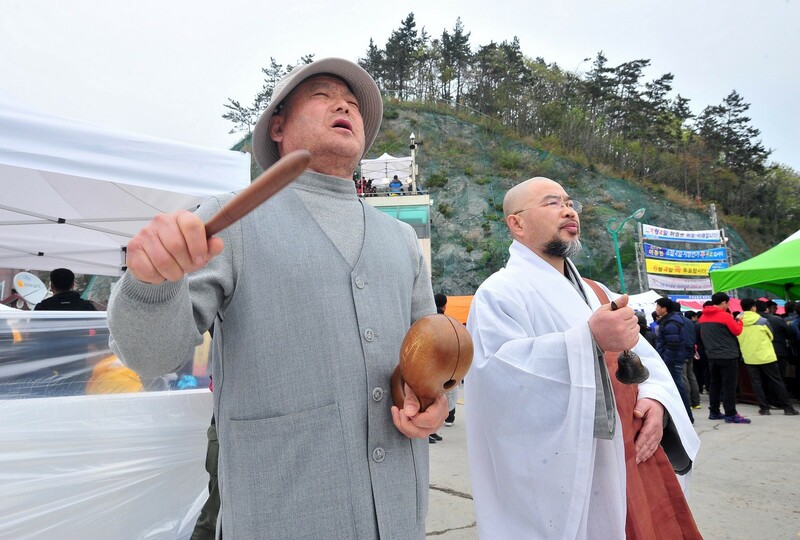 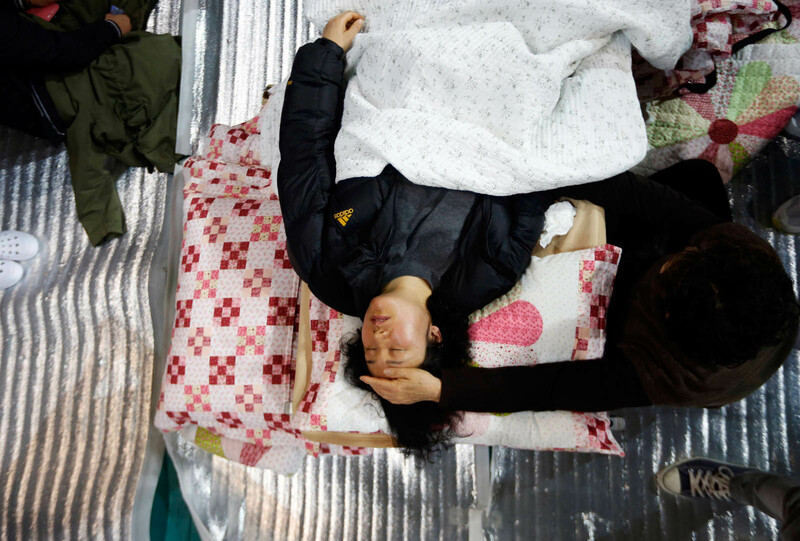 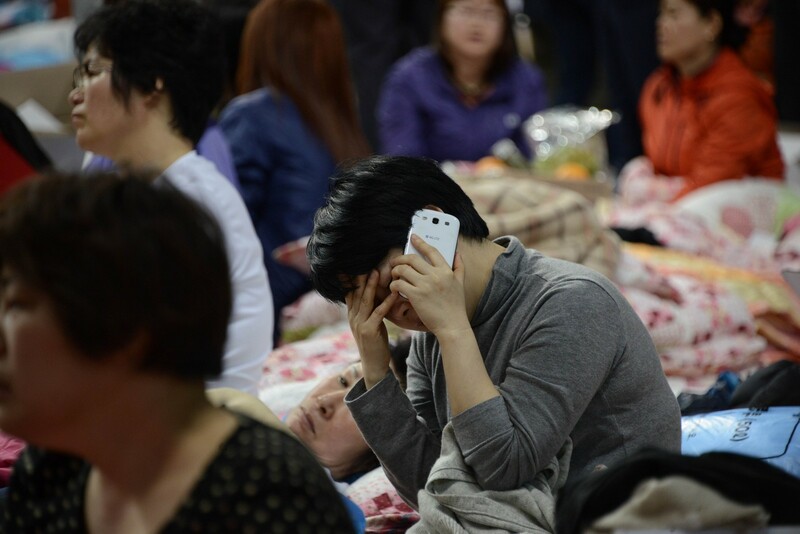 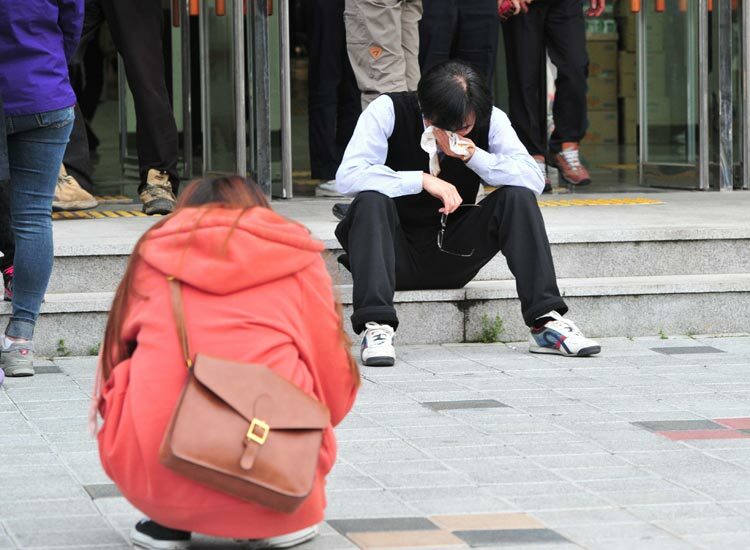 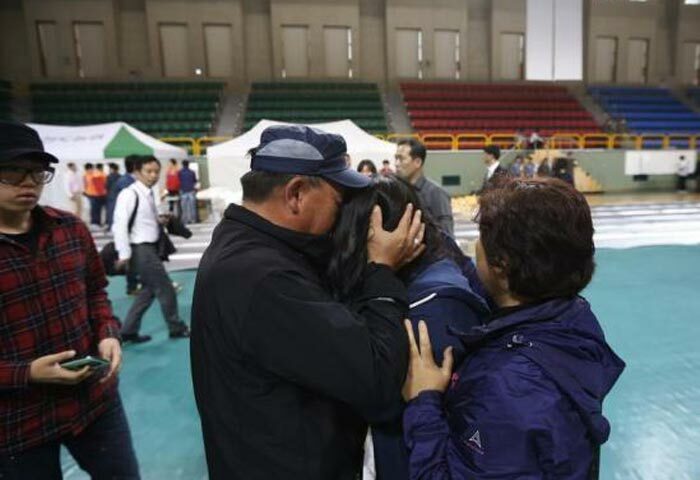 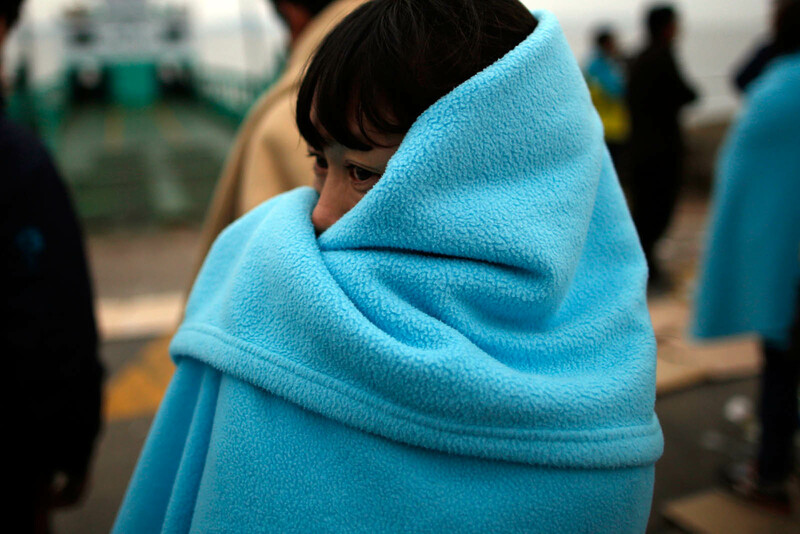 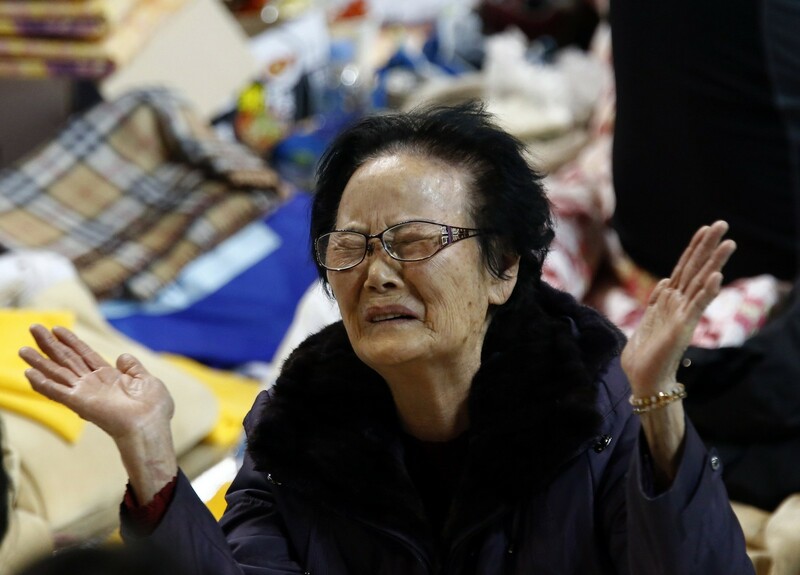 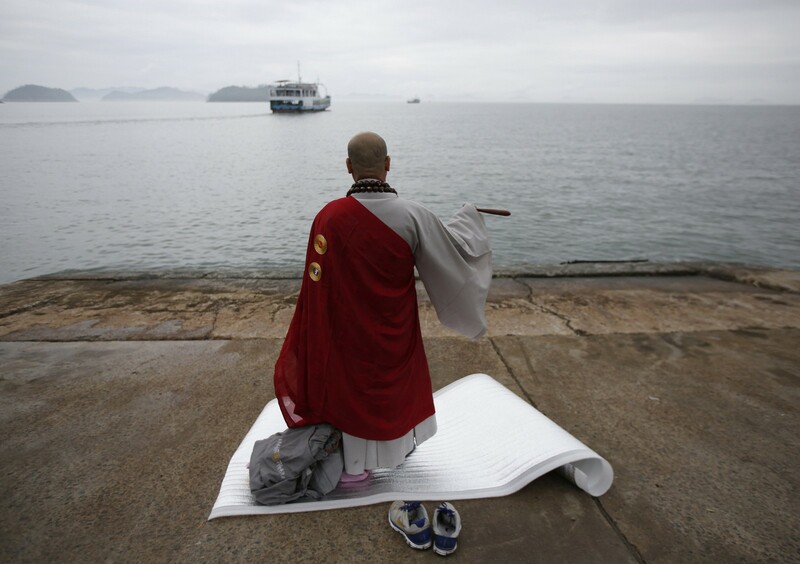 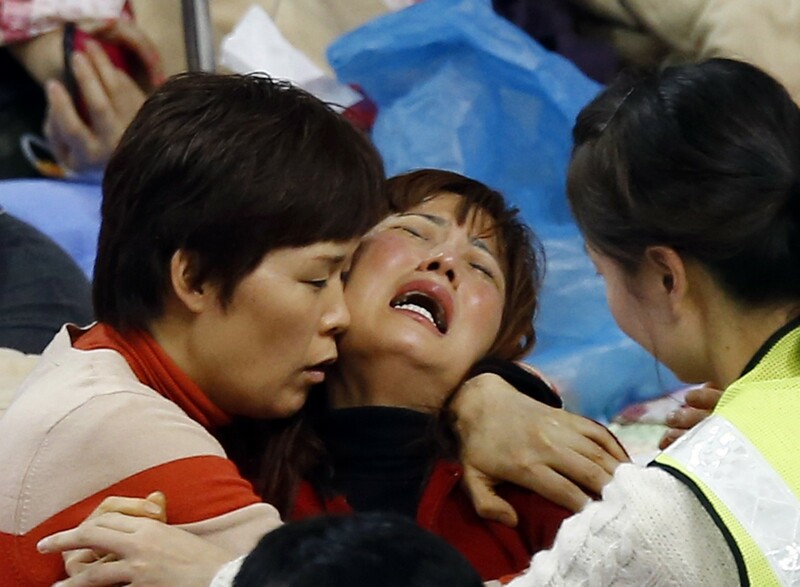 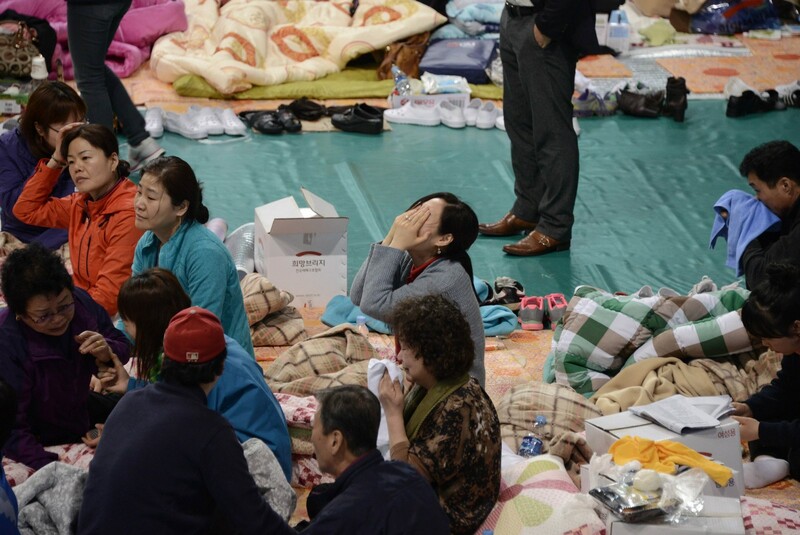 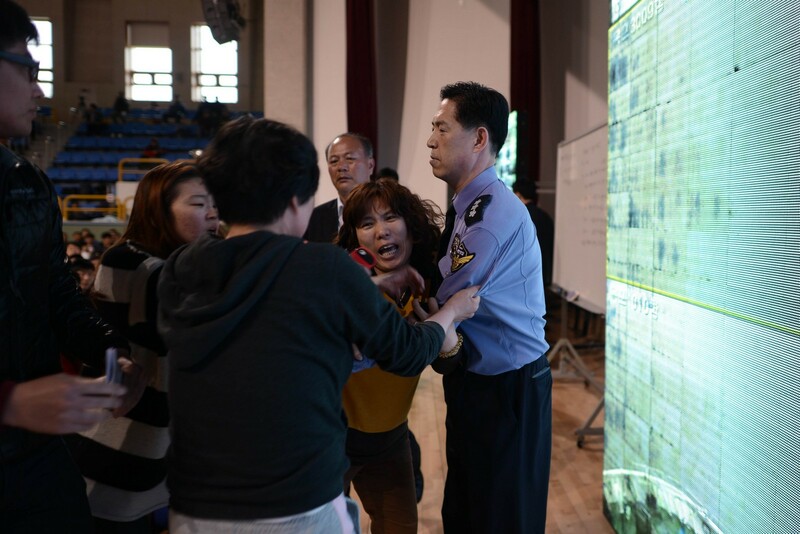 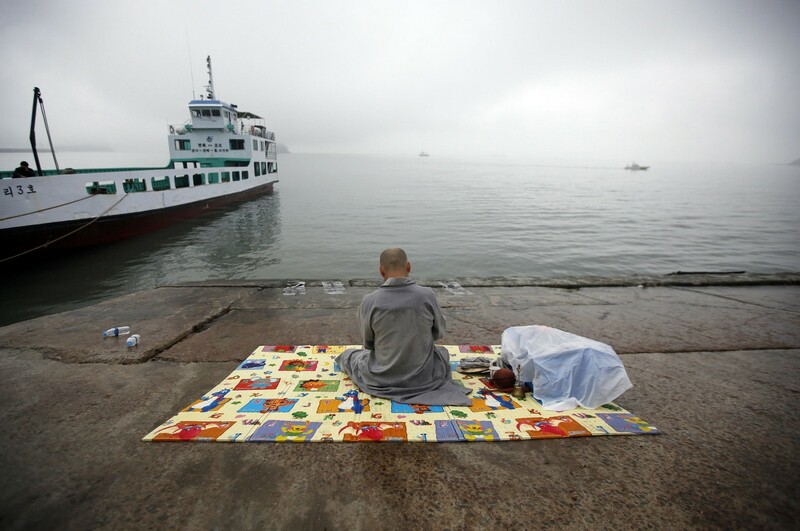 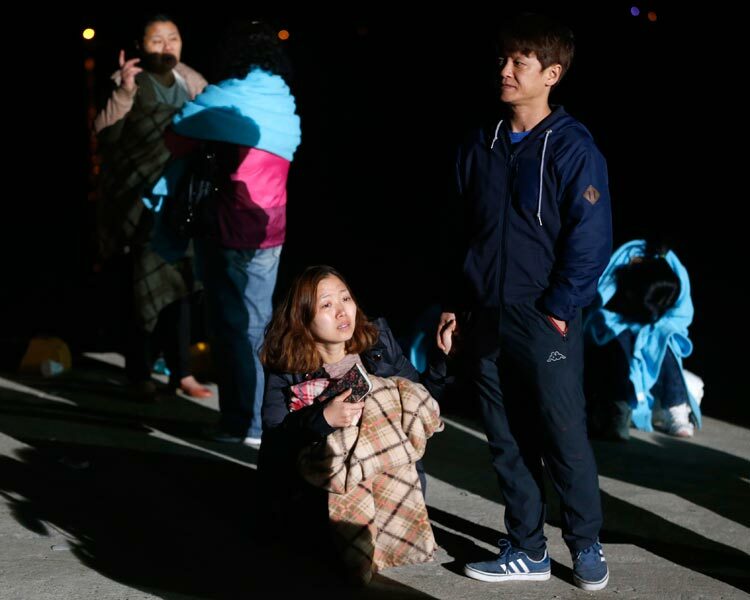 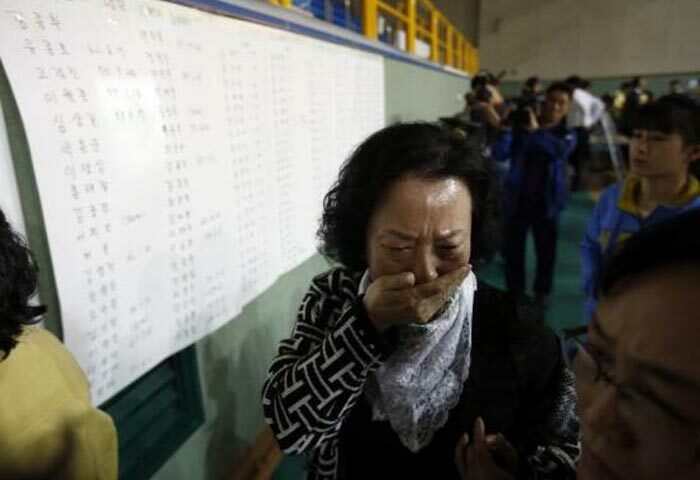 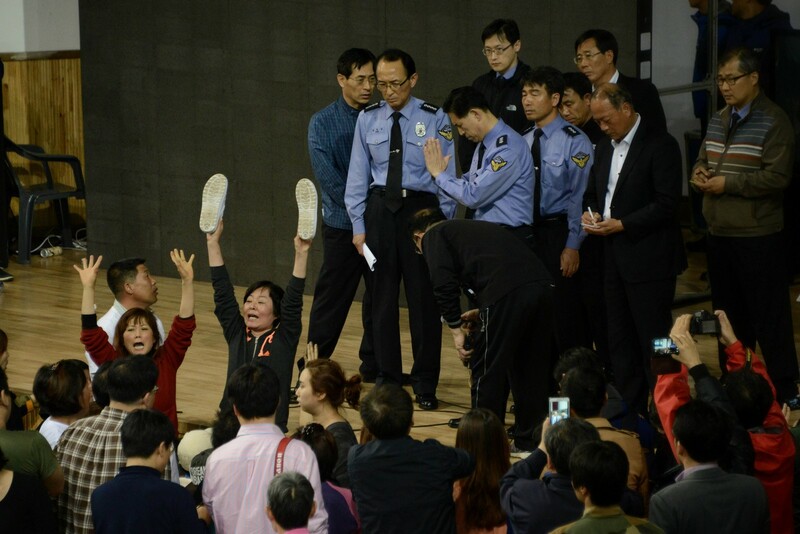 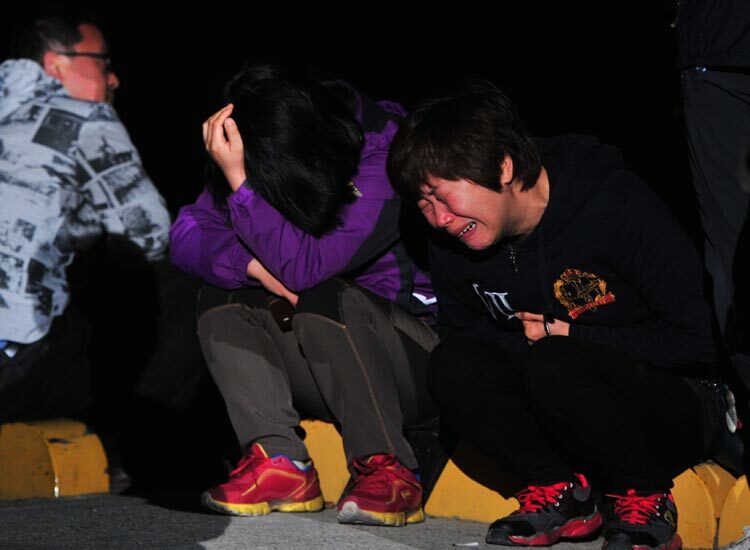 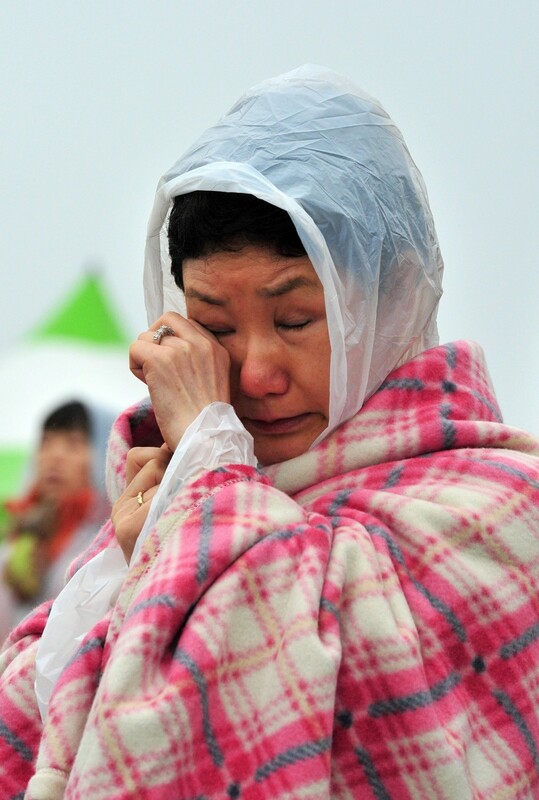 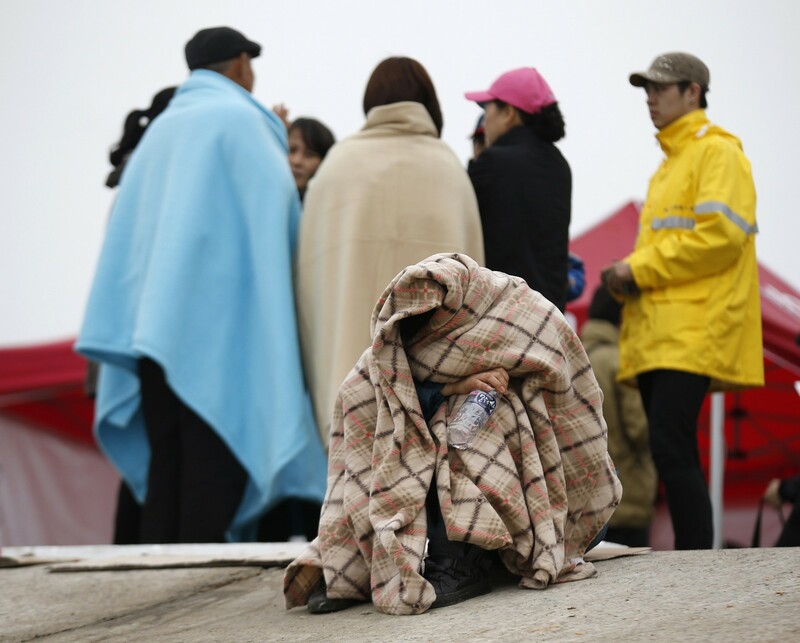 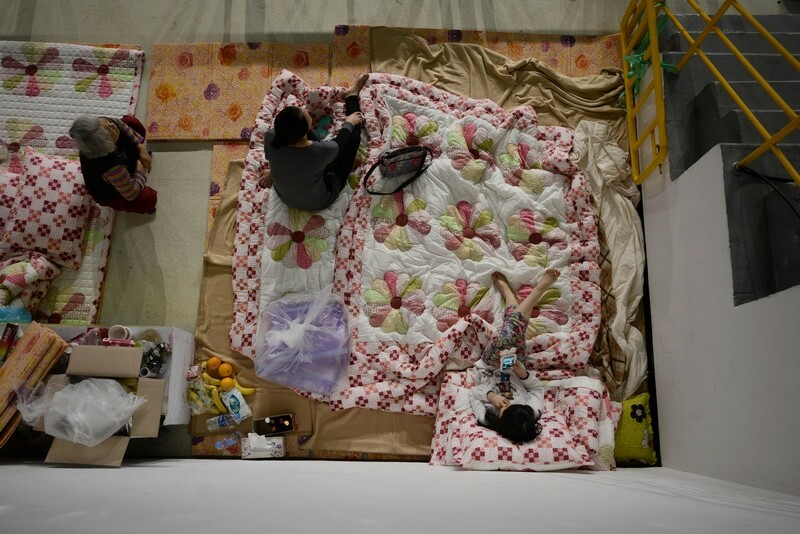 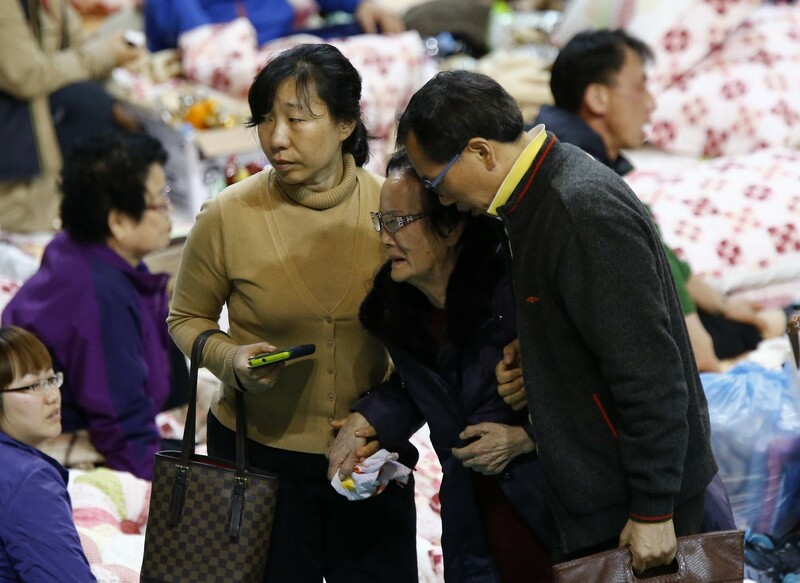 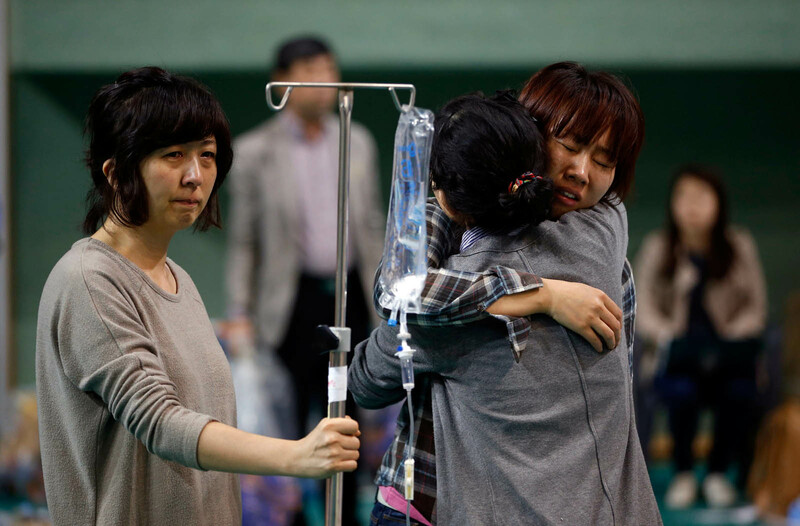 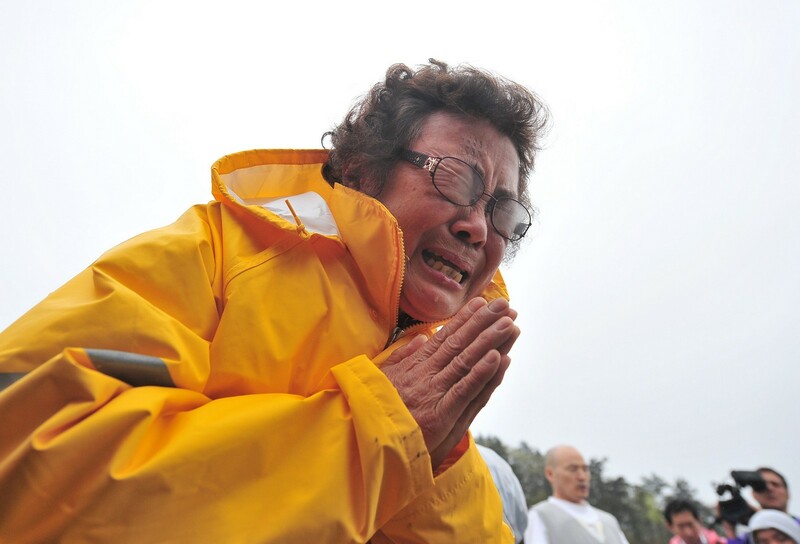 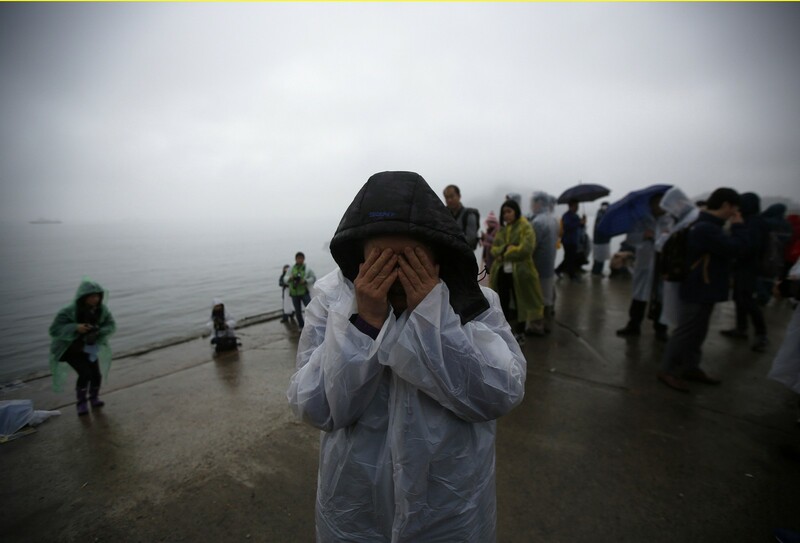 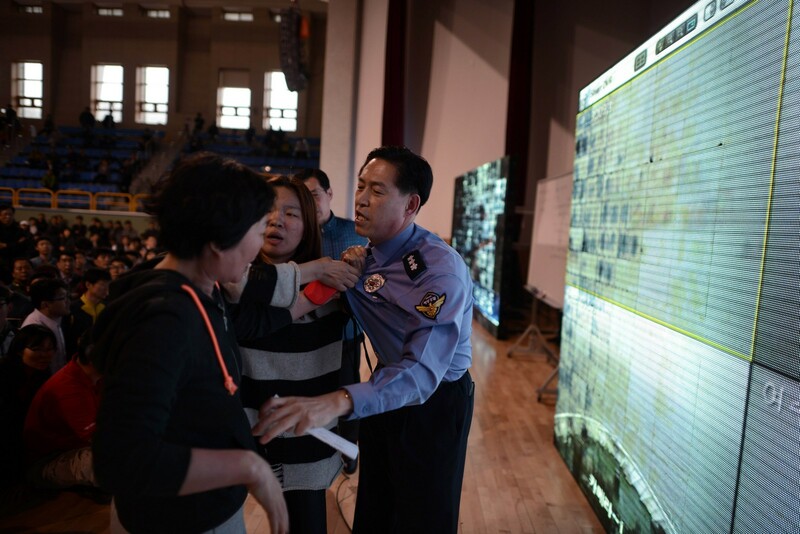 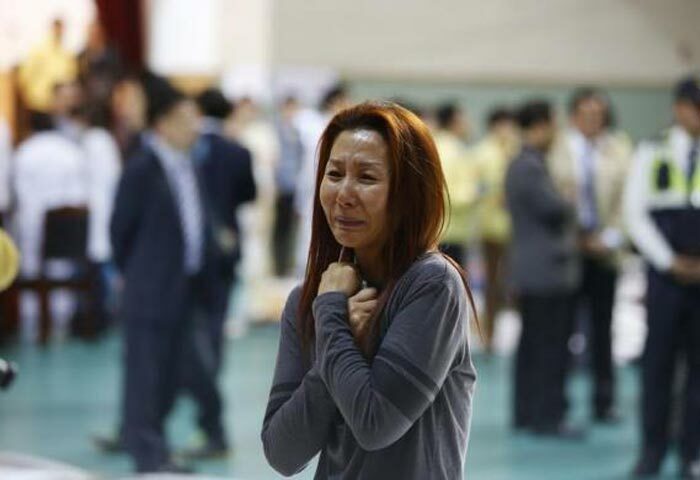 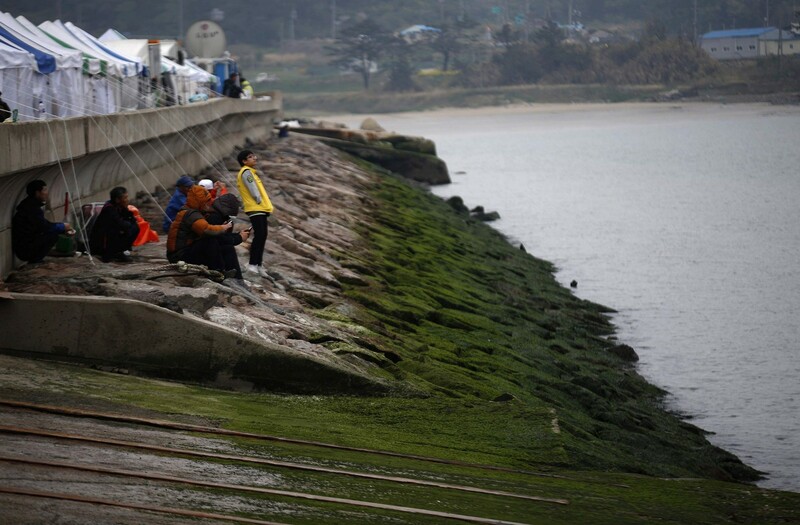 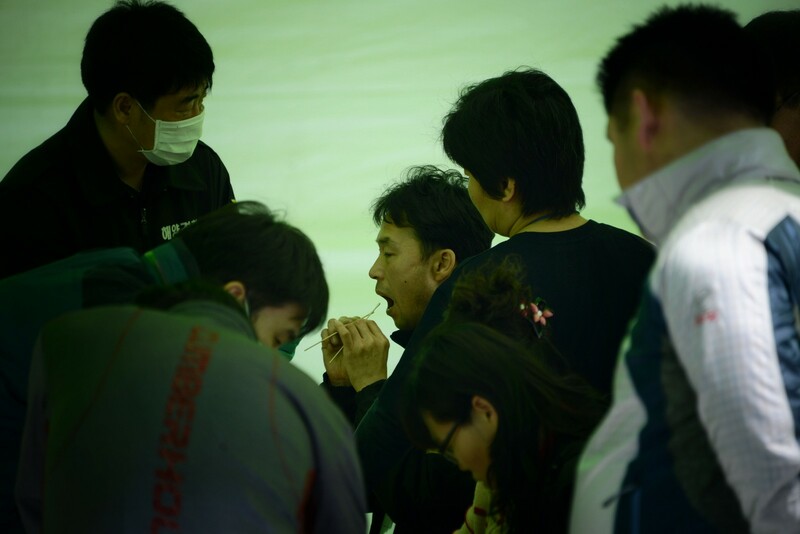 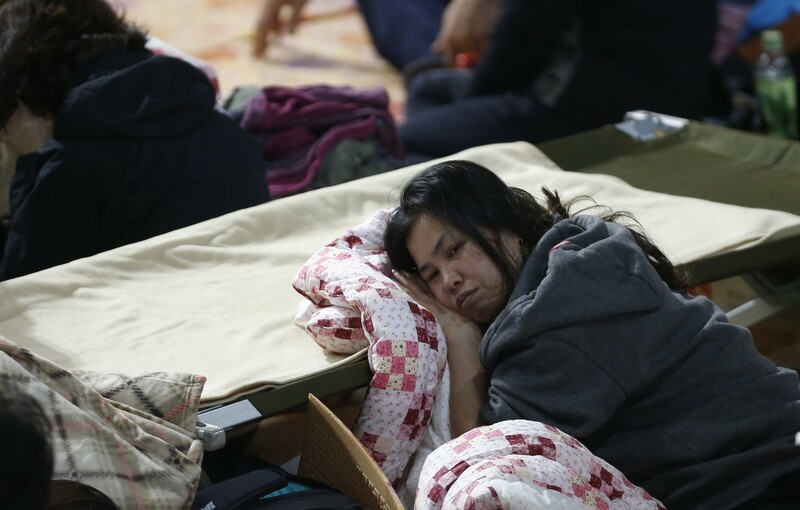 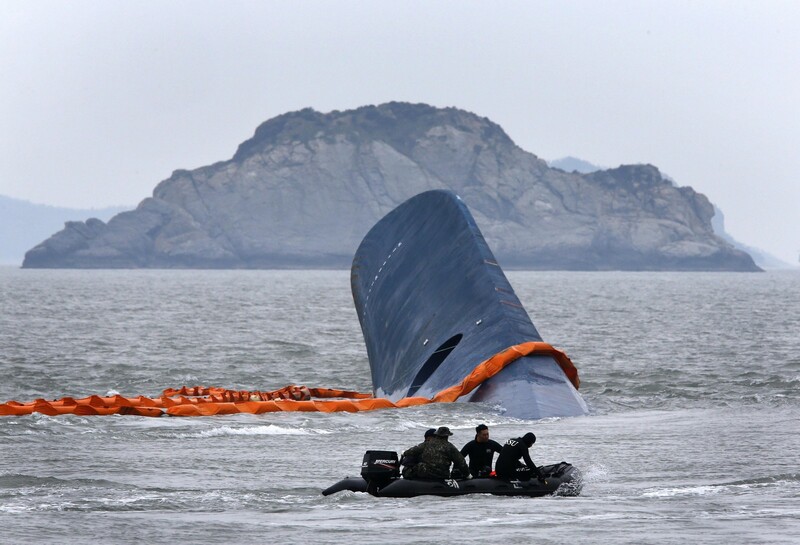 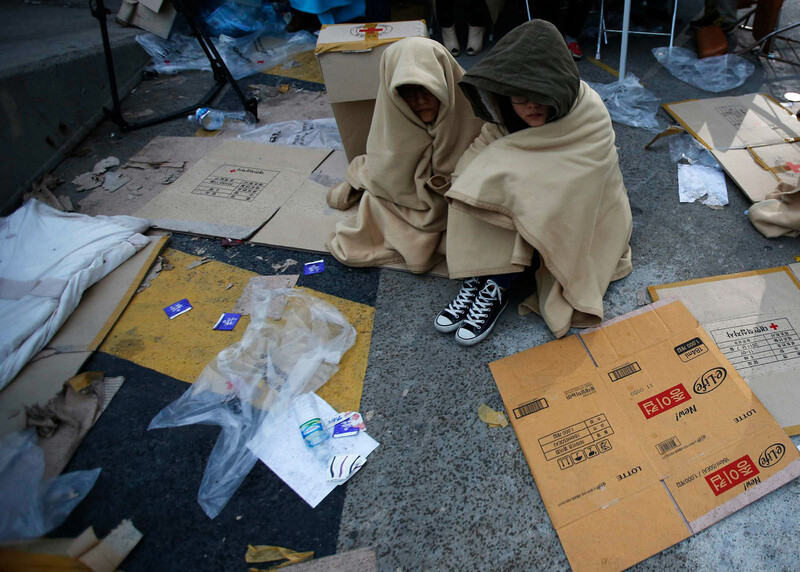 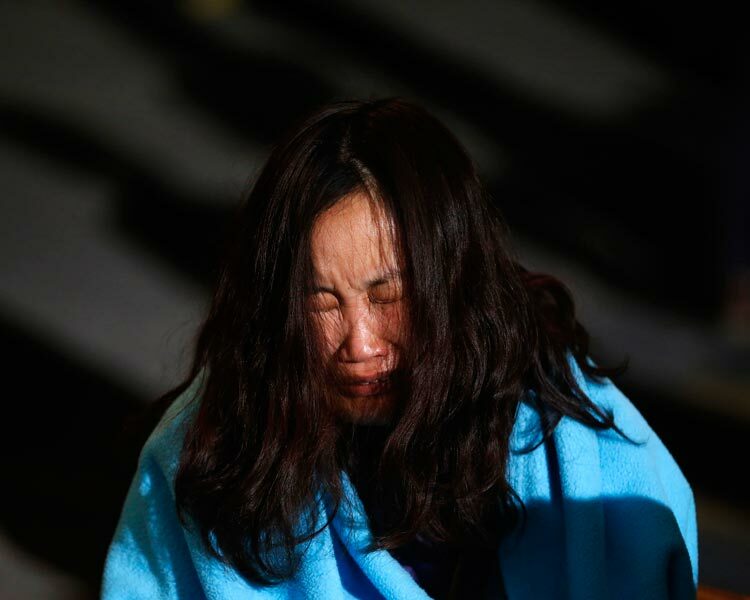 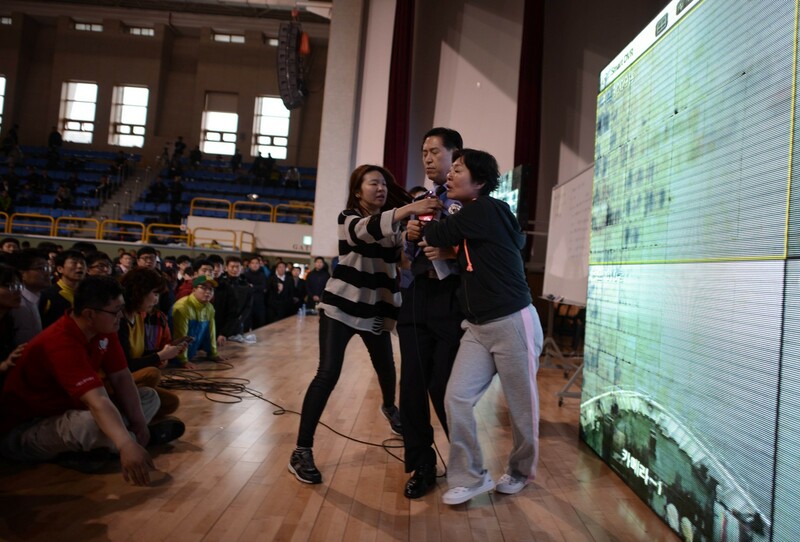 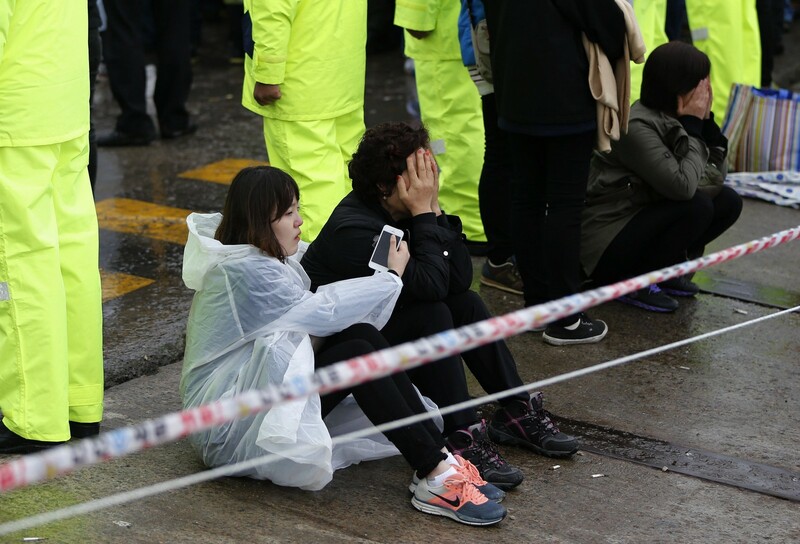 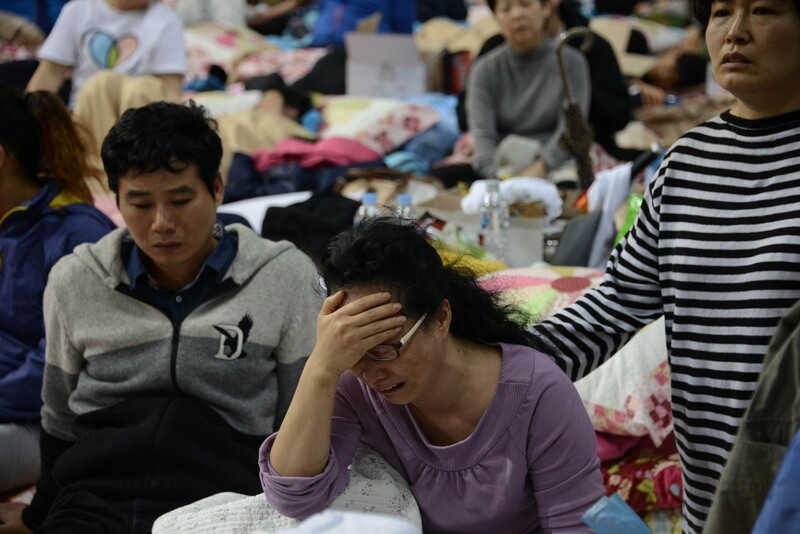 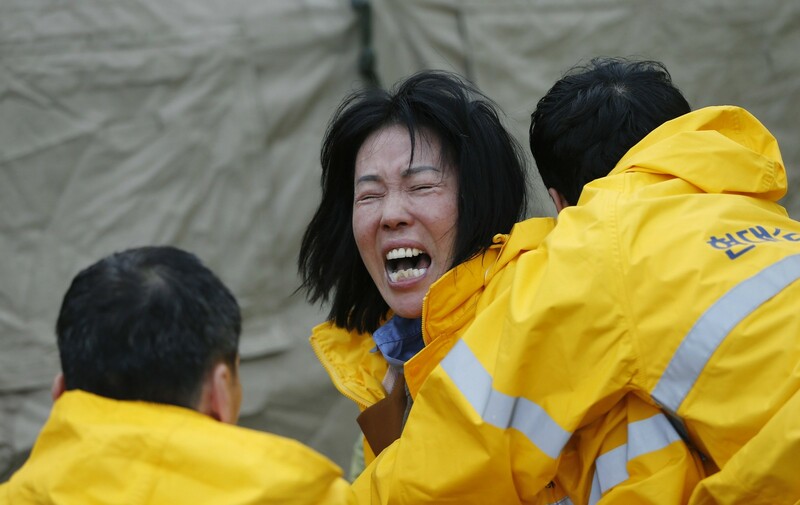 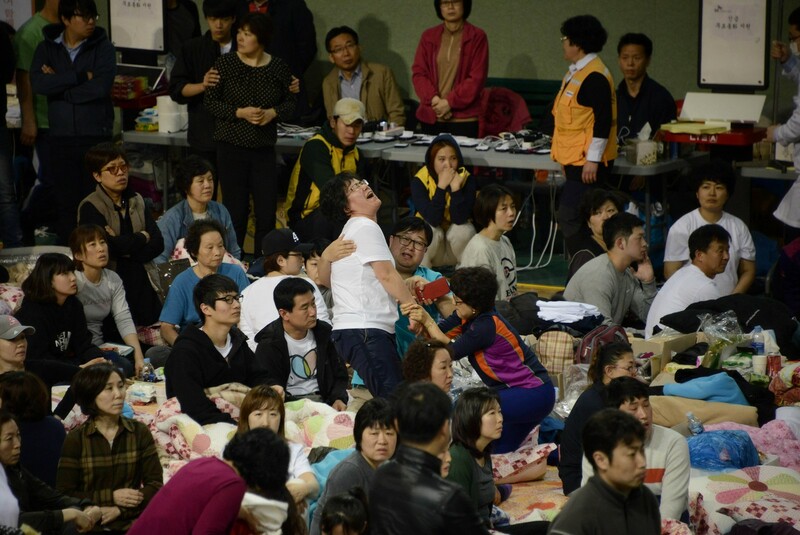 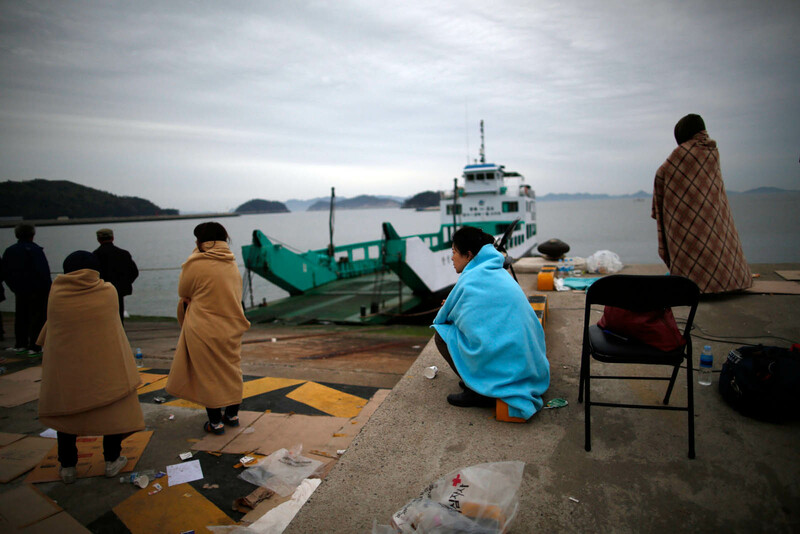 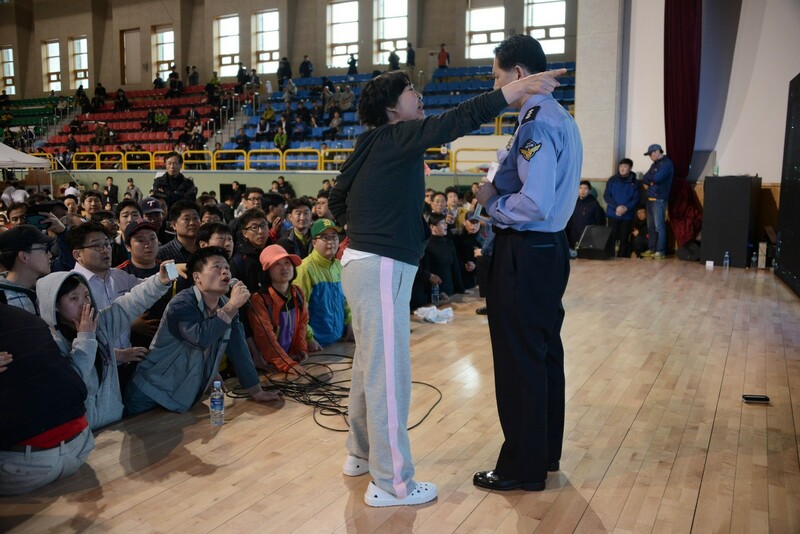 A local resident of Jindo cries as she prays for the missing passengers onboard the Sewol ferry, which capsized on Wednesday, during a special Easter service in Jindo April 20, 2014. 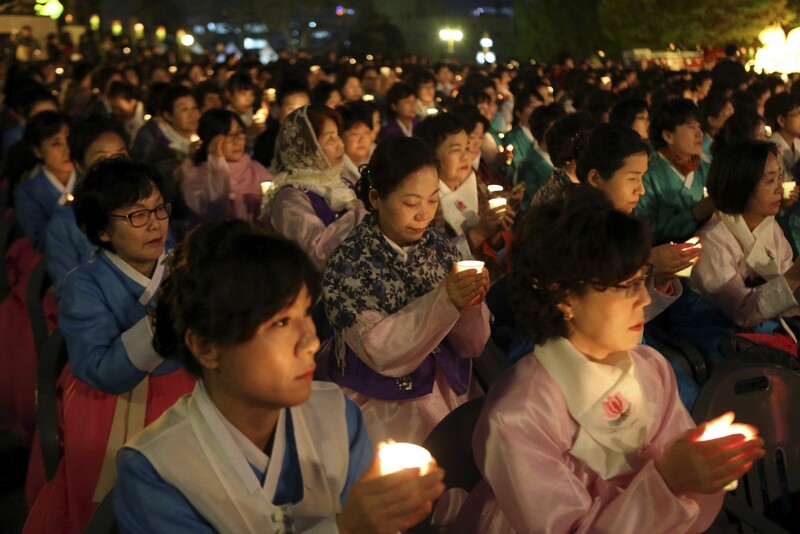 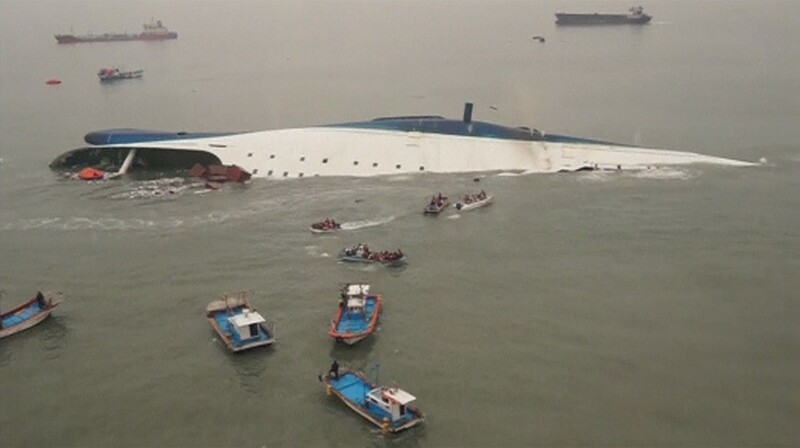 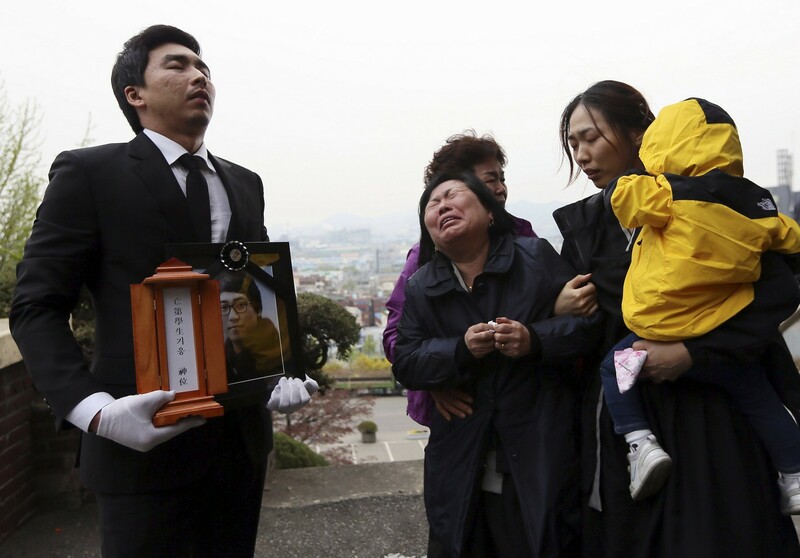 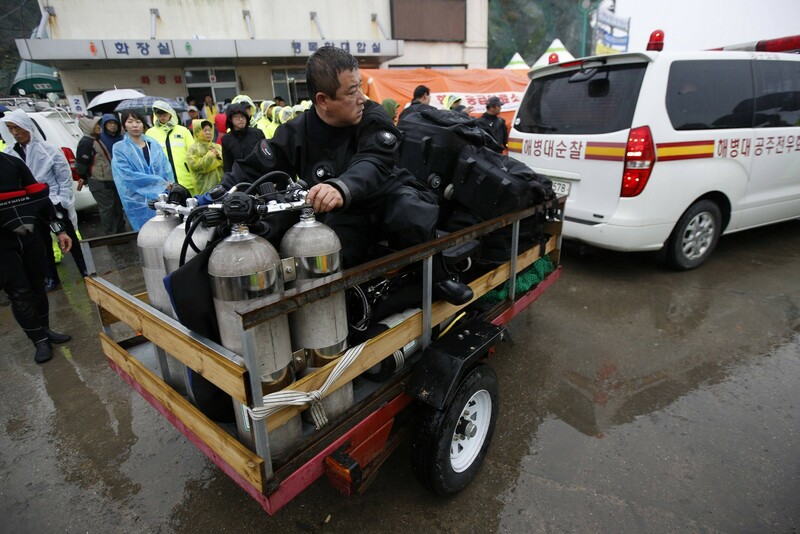 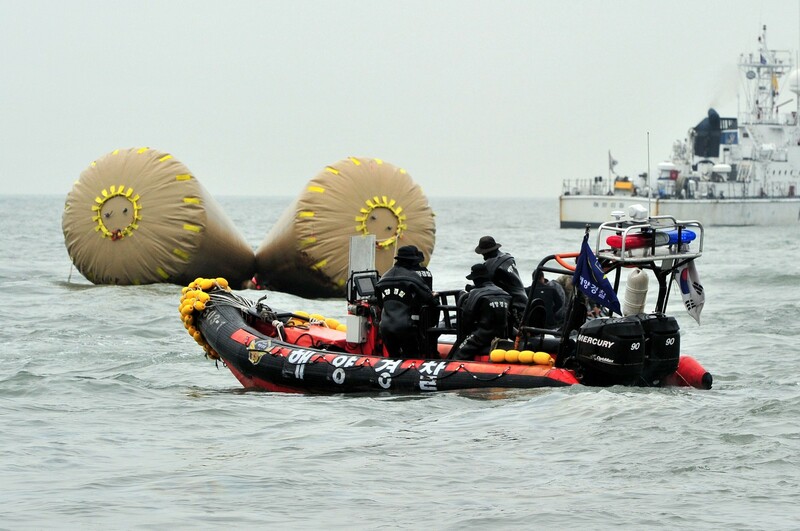 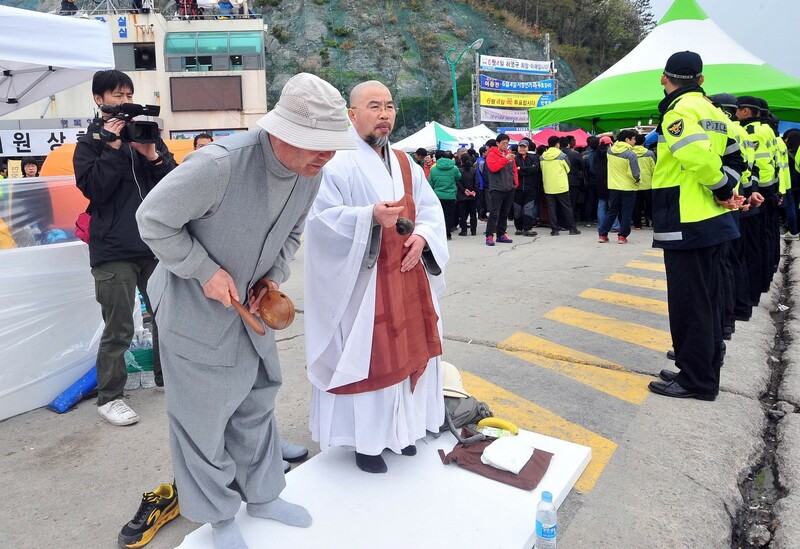 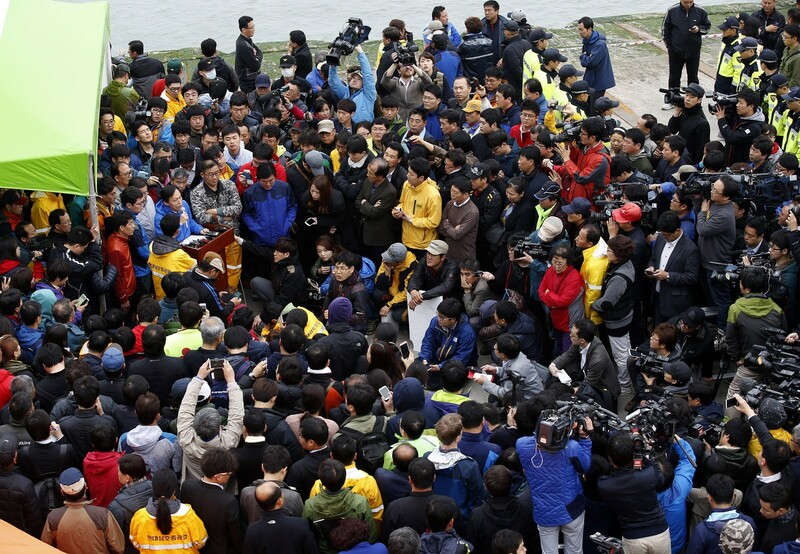 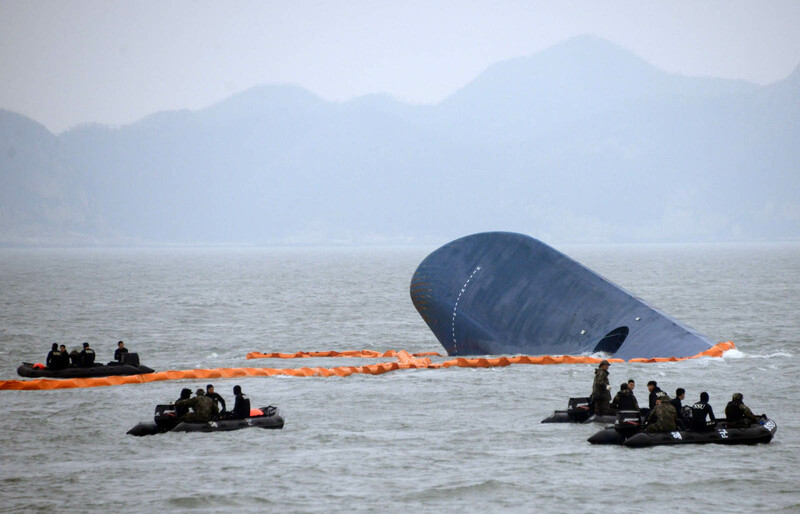 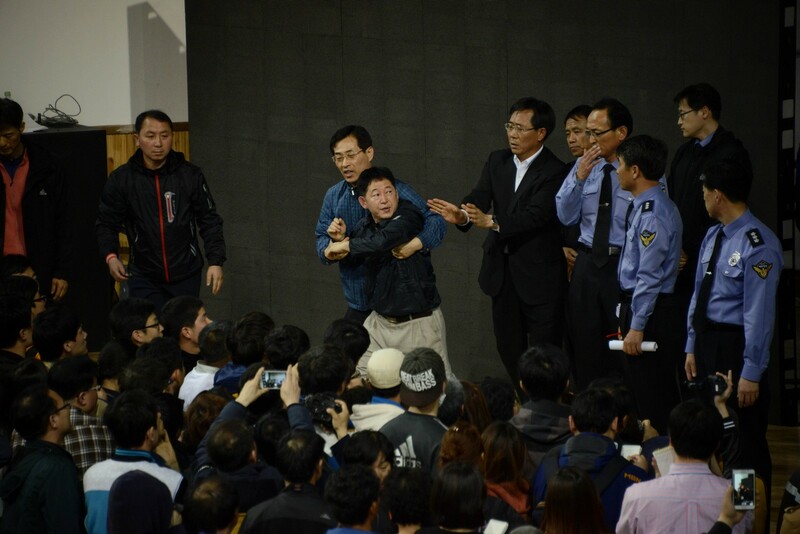 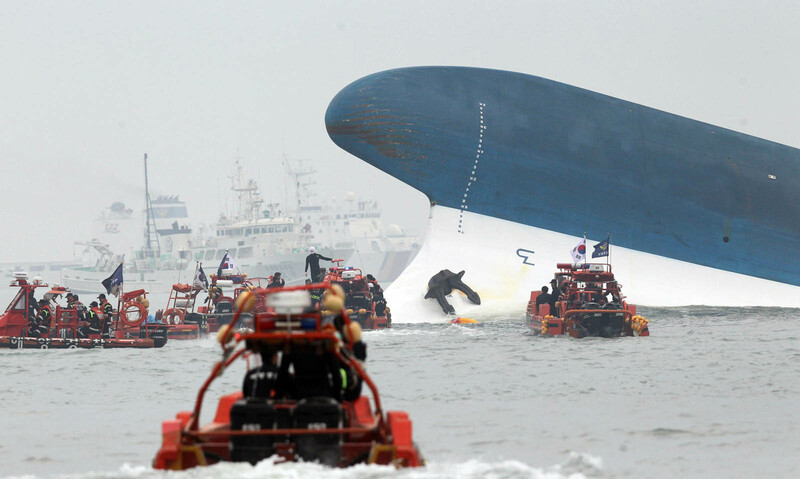 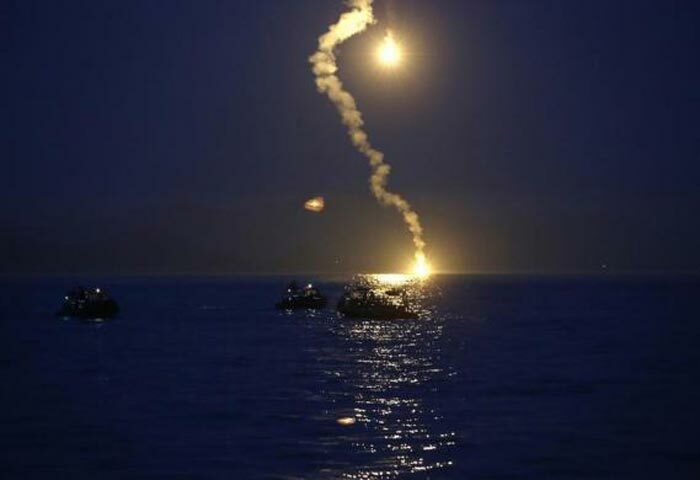 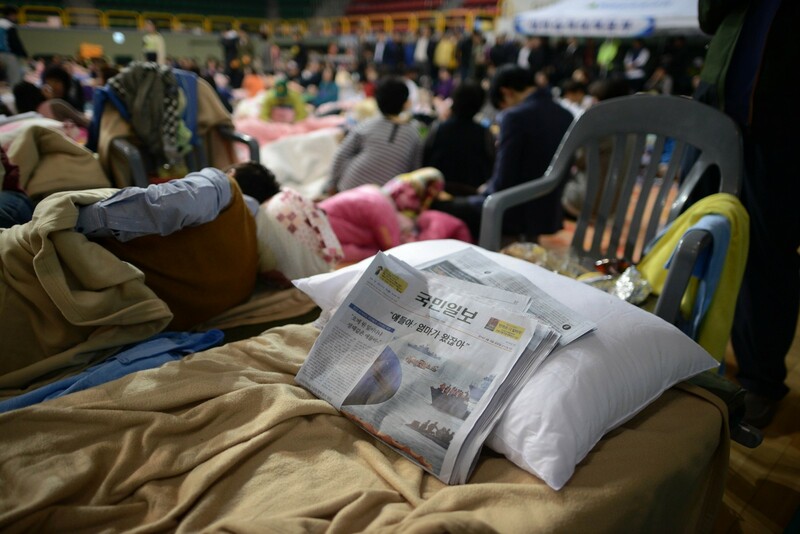 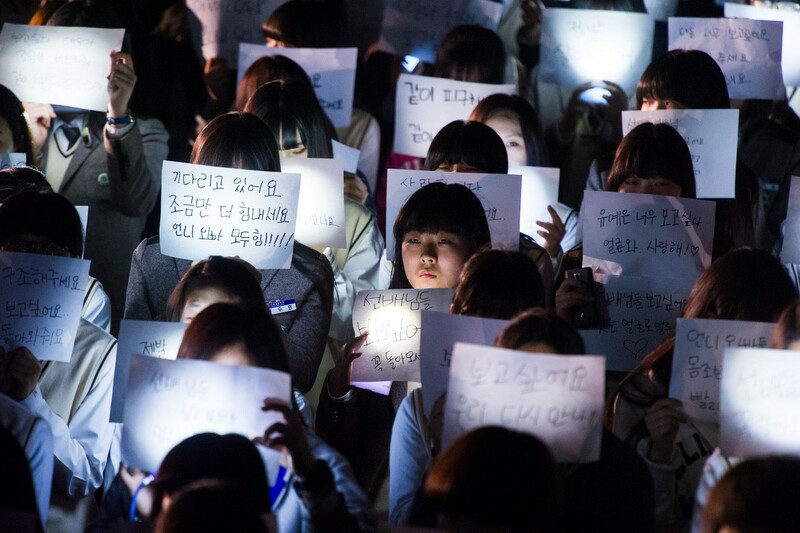 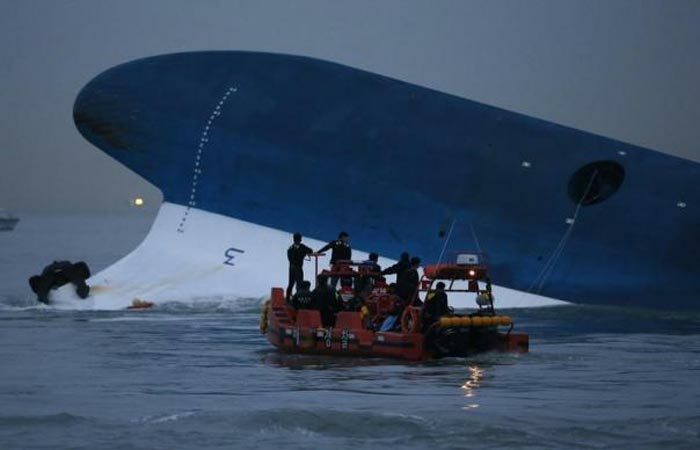 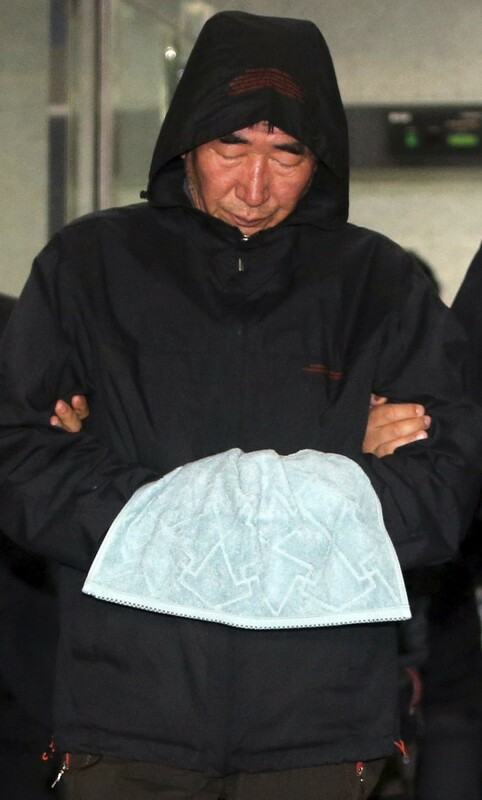 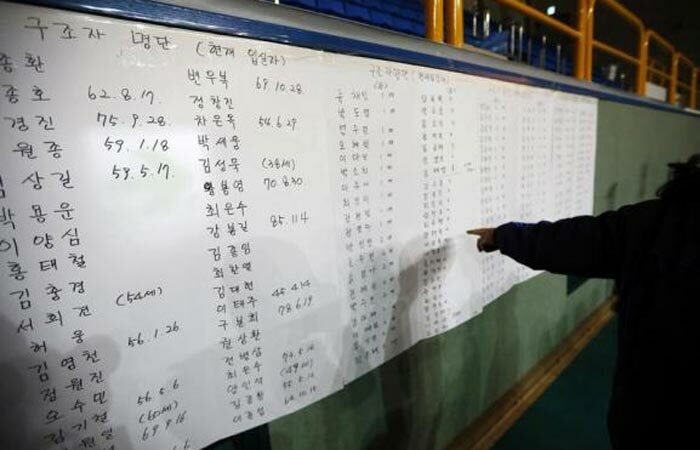 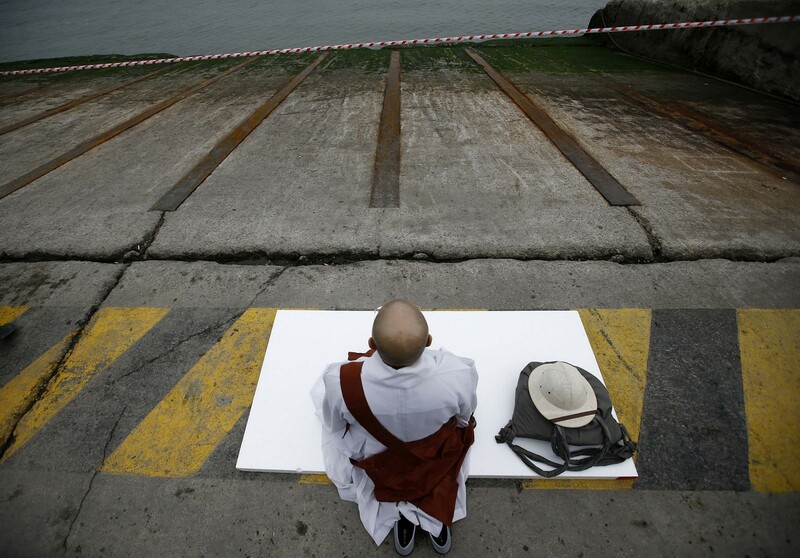 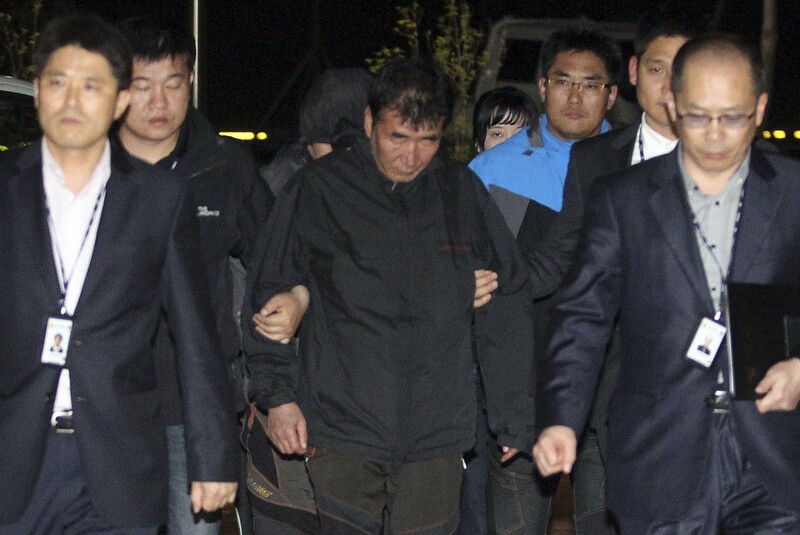 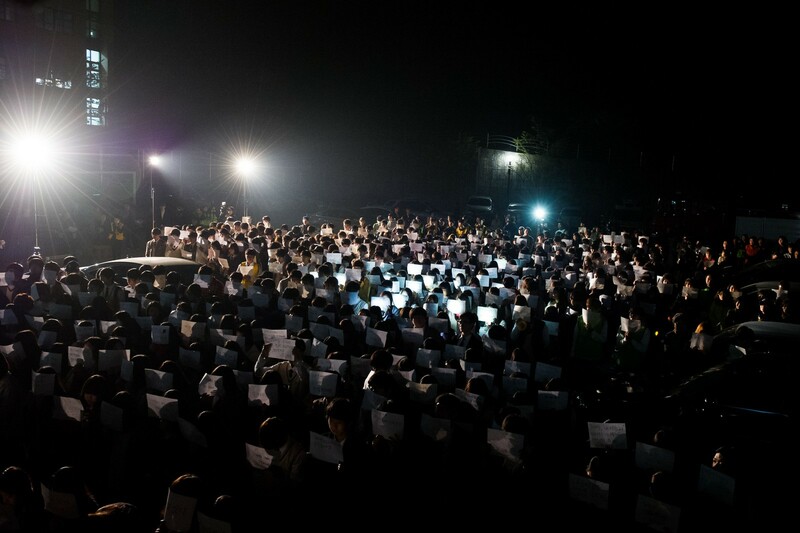 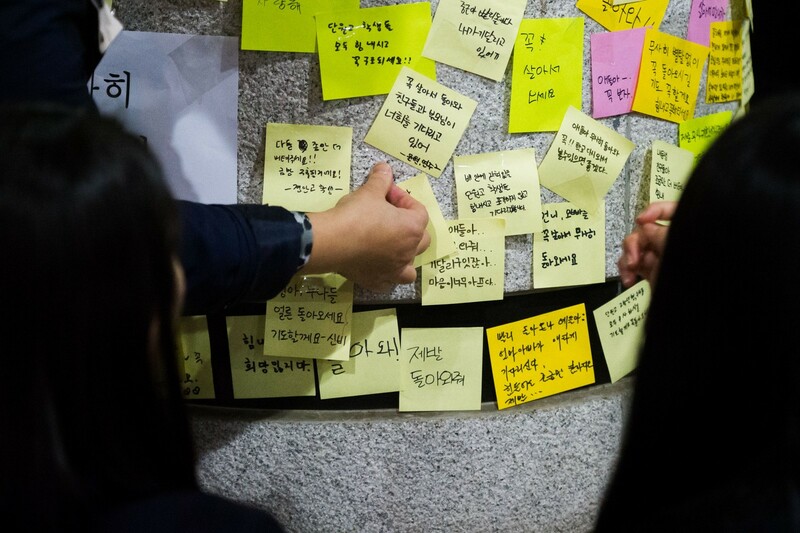 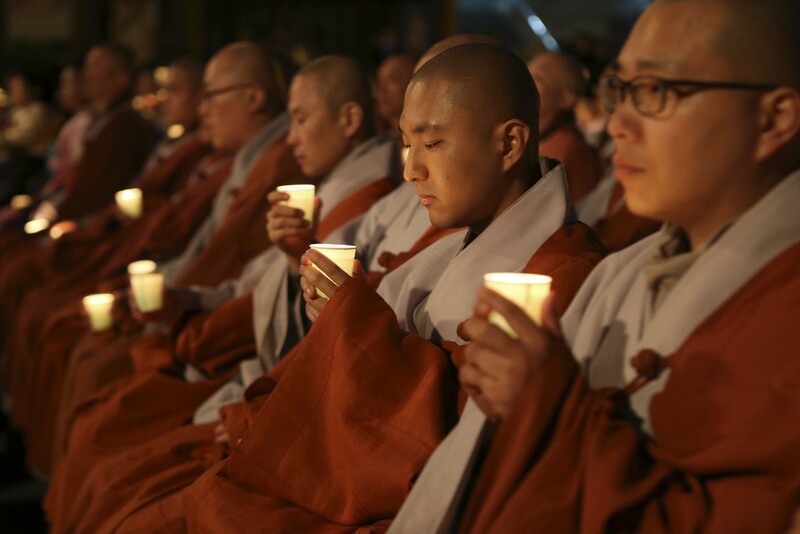 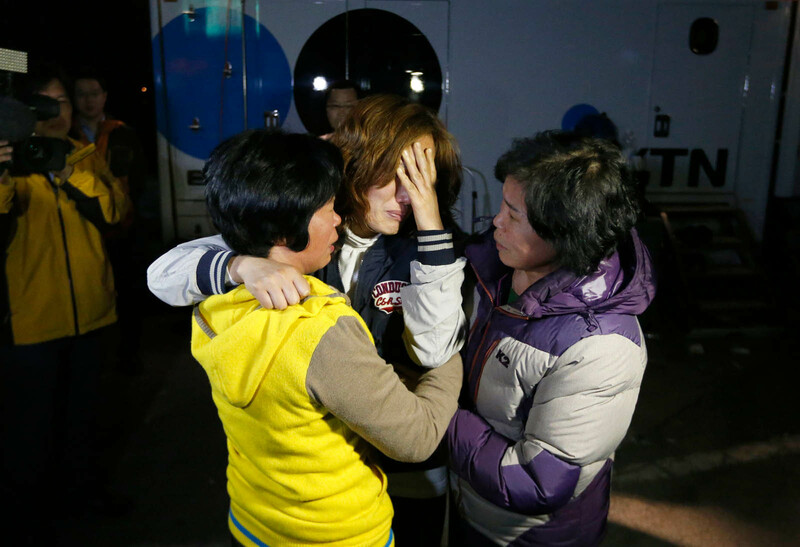 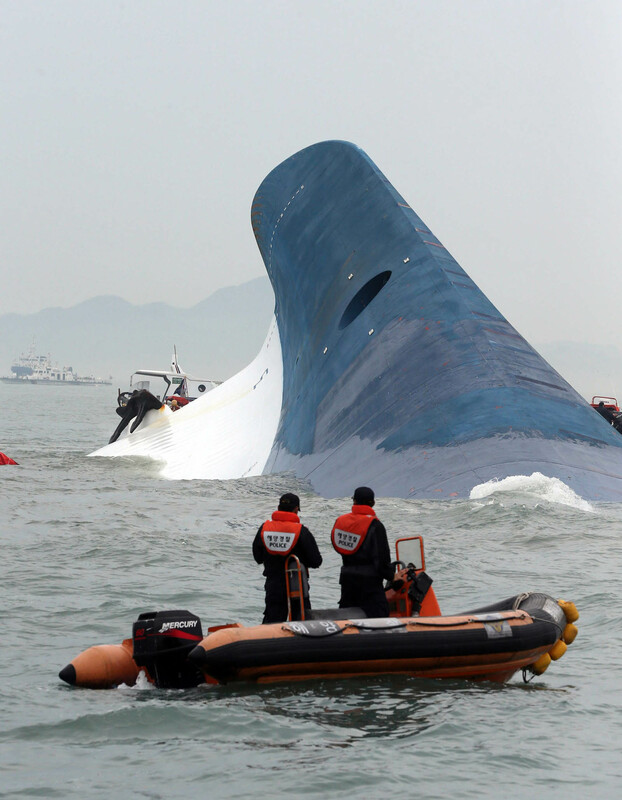 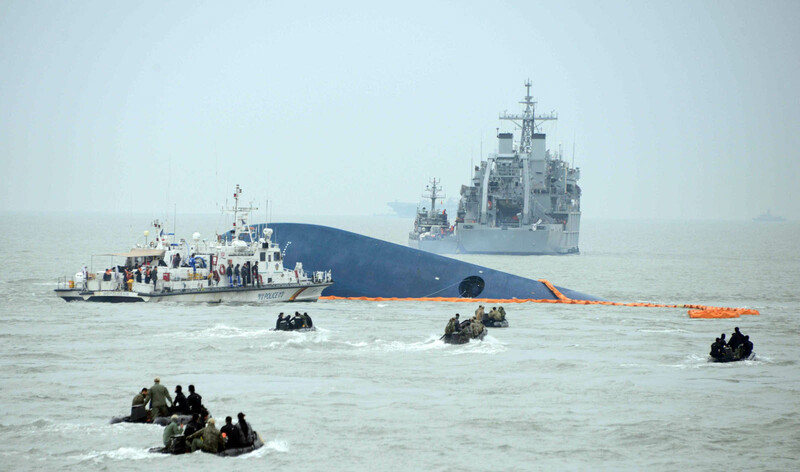 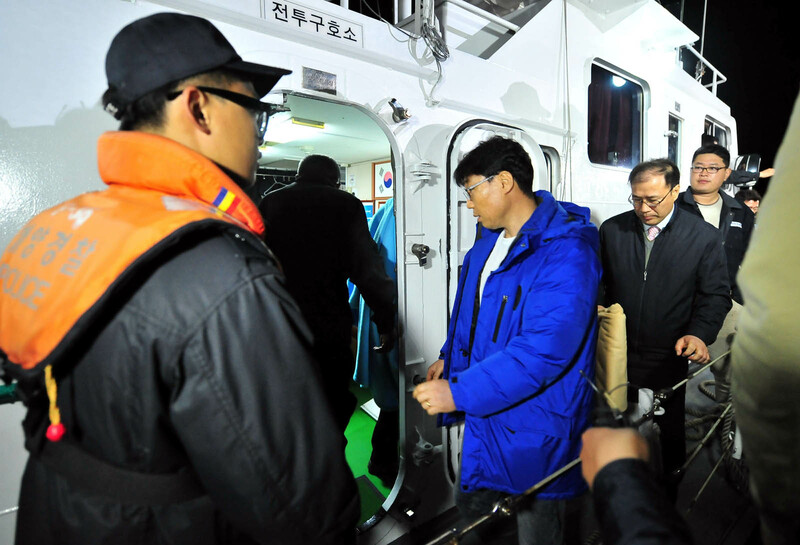 SEOUL - The first funerals were held on Sunday morning for six victims who died in the Sewol ferry sinking. 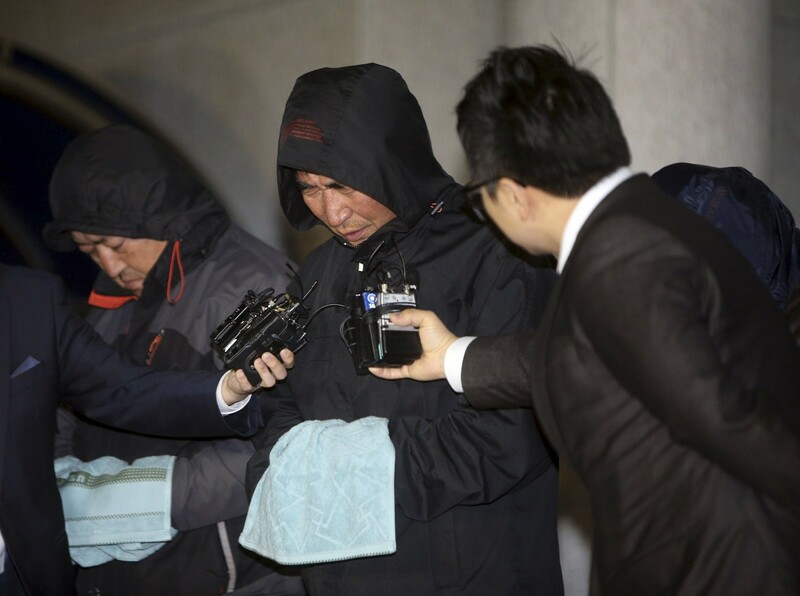 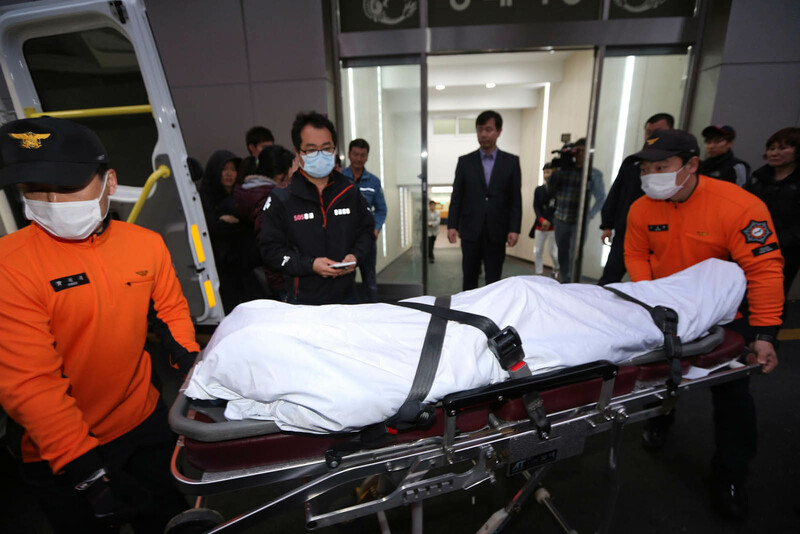 The families of two teachers and four students from Danwon High School bid farewell to their loved ones at separate funerals held in Ansan, Gyeonggi Province, on Sunday. 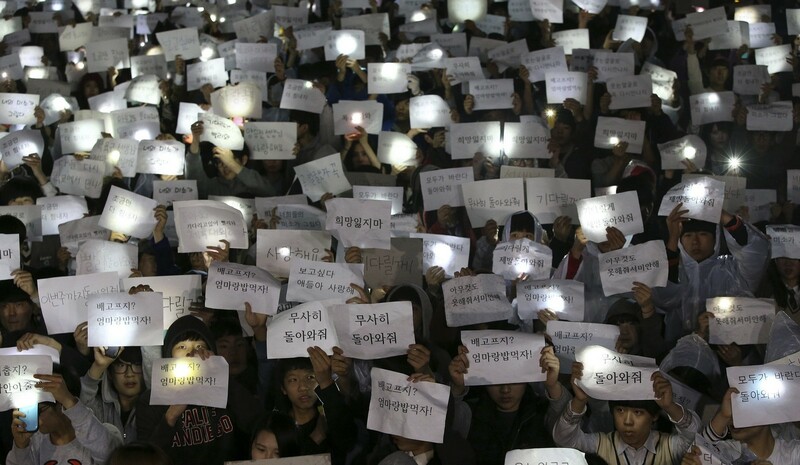 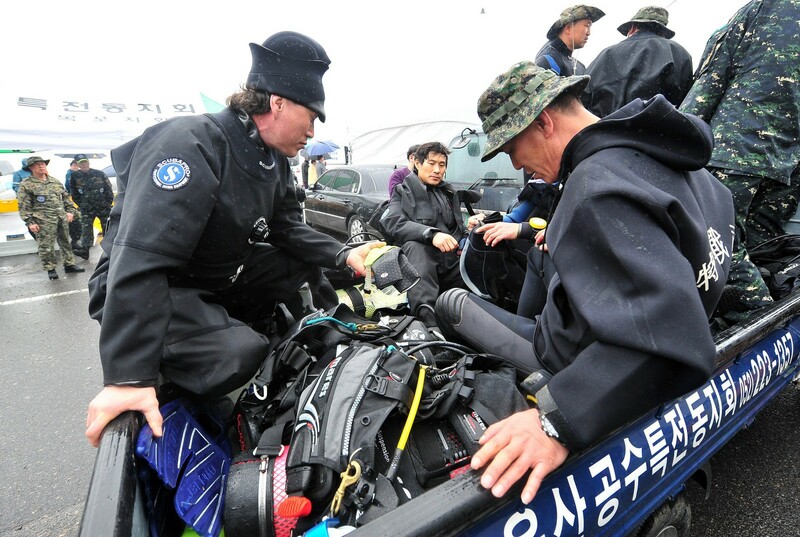 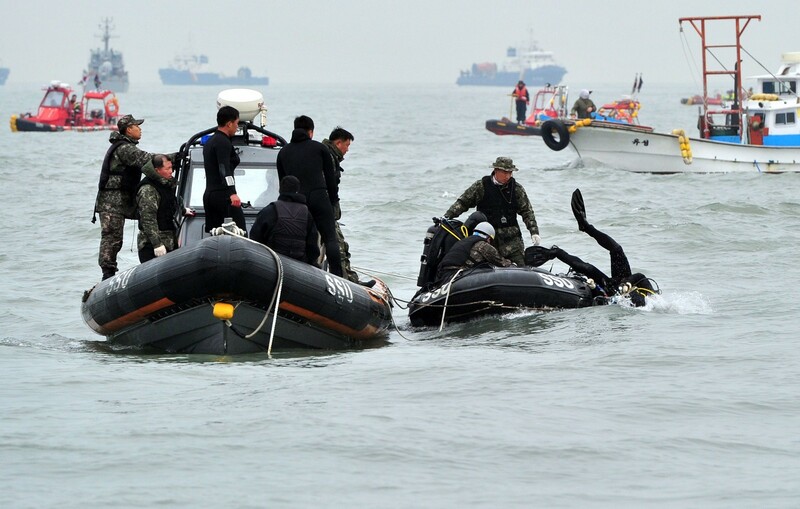 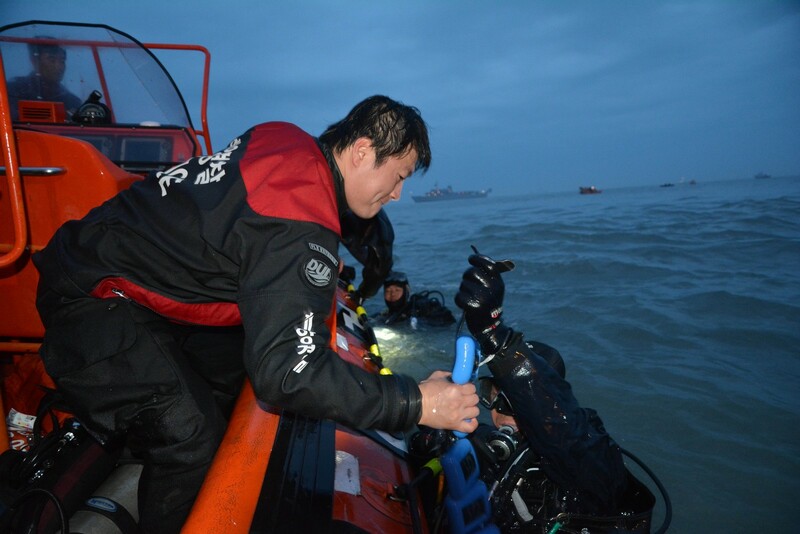 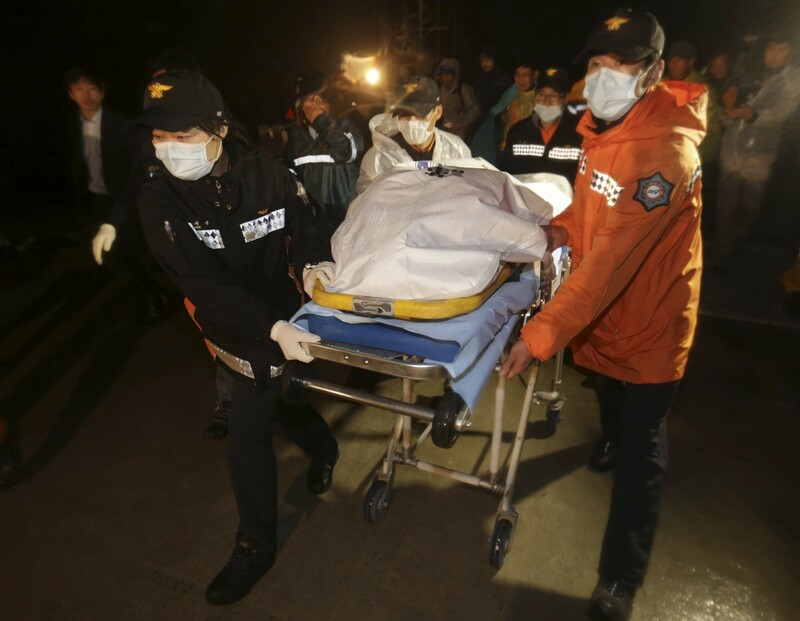 Victims included Nam Yun Cheol, a teacher who died while trying to rescue students, and Kim Cho Won, a first-year teacher who died on her birthday. 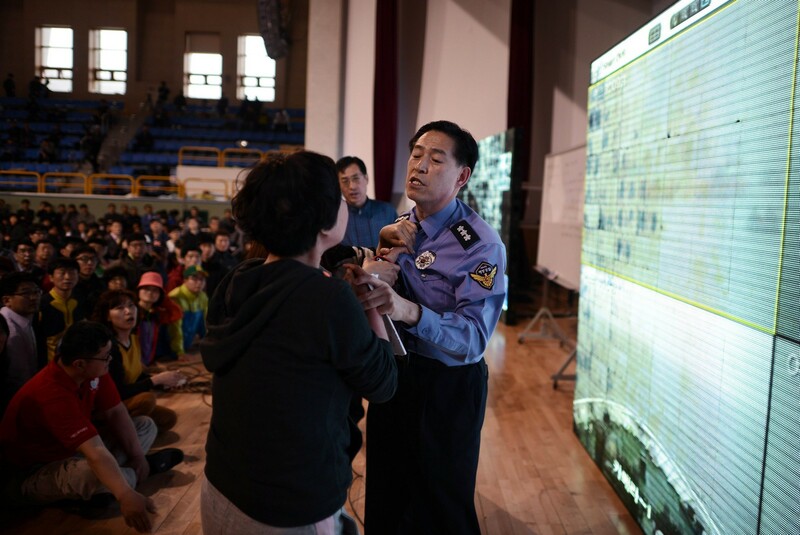 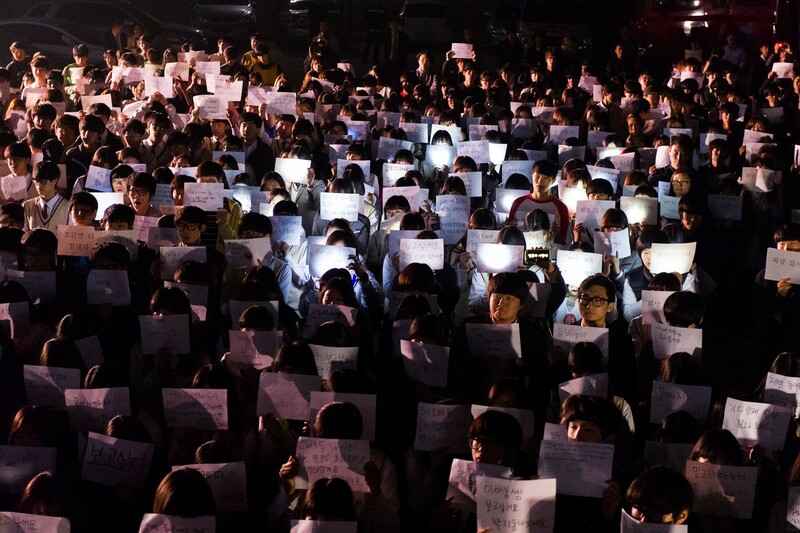 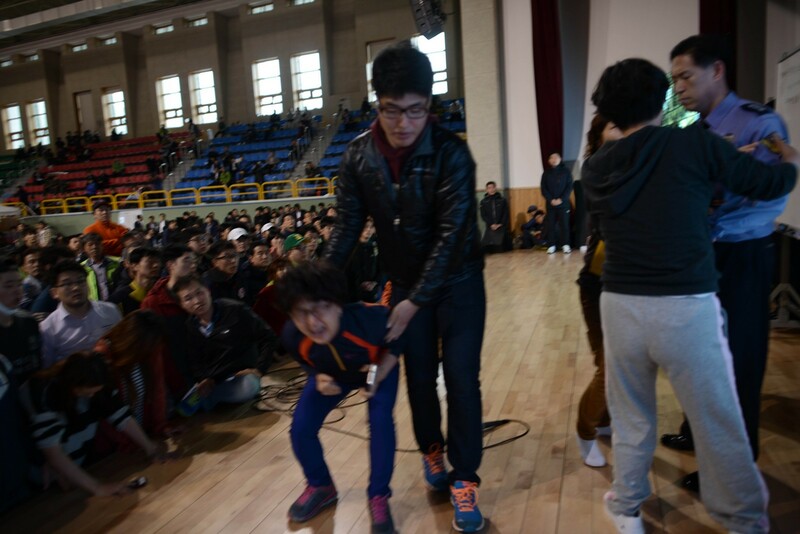 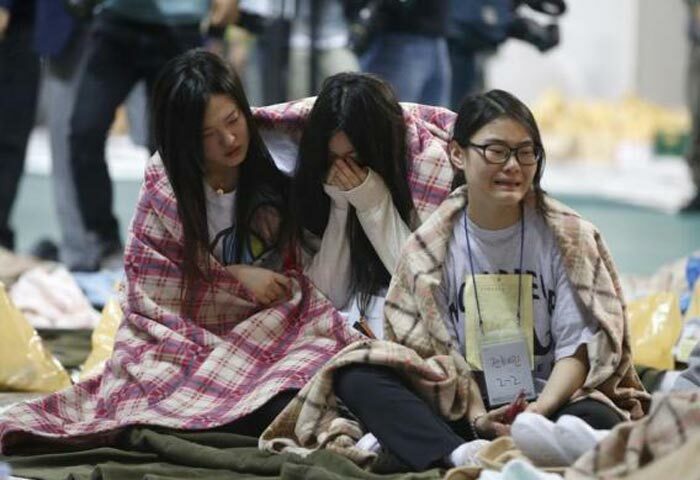 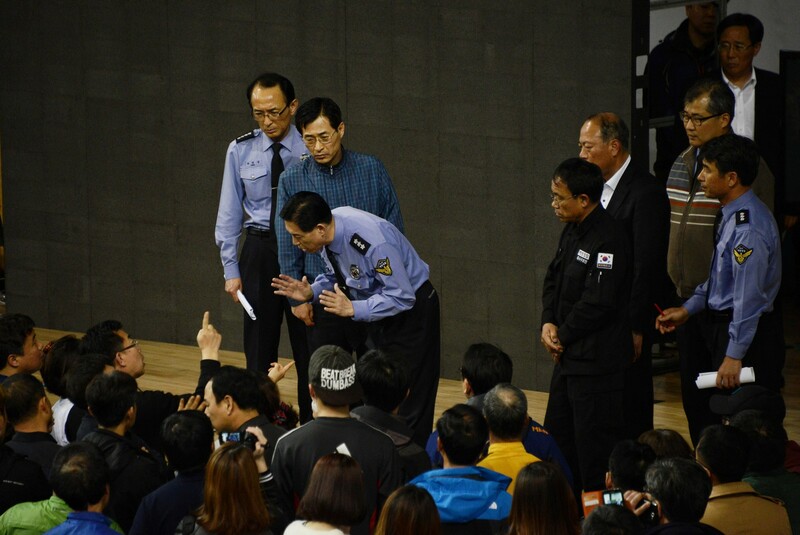 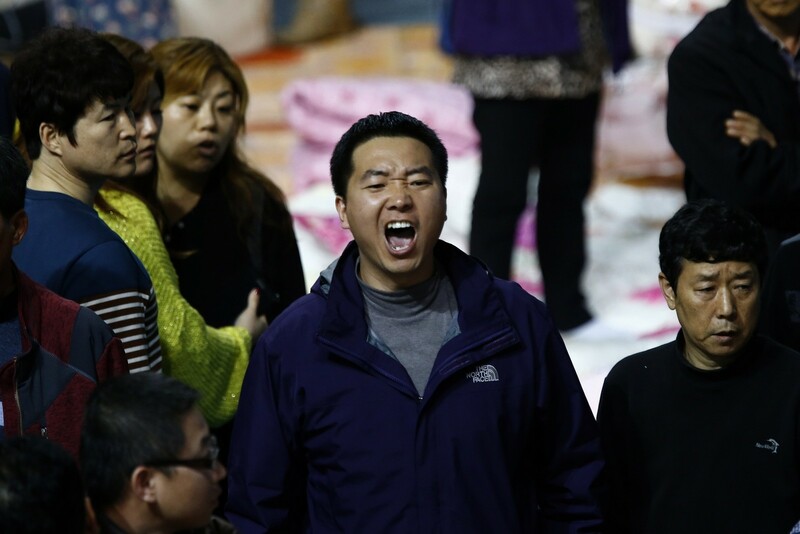 Families of four other students were to hold funerals on the same day, but postponed. 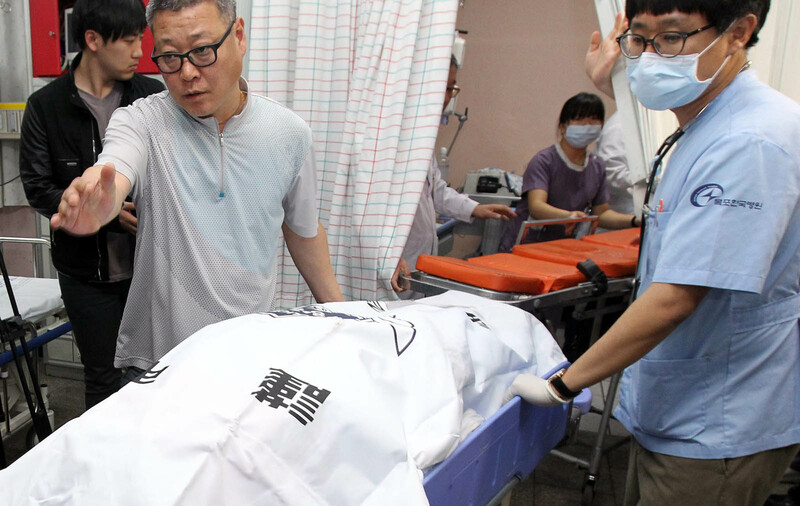 They said they would consider holding a joint funeral. 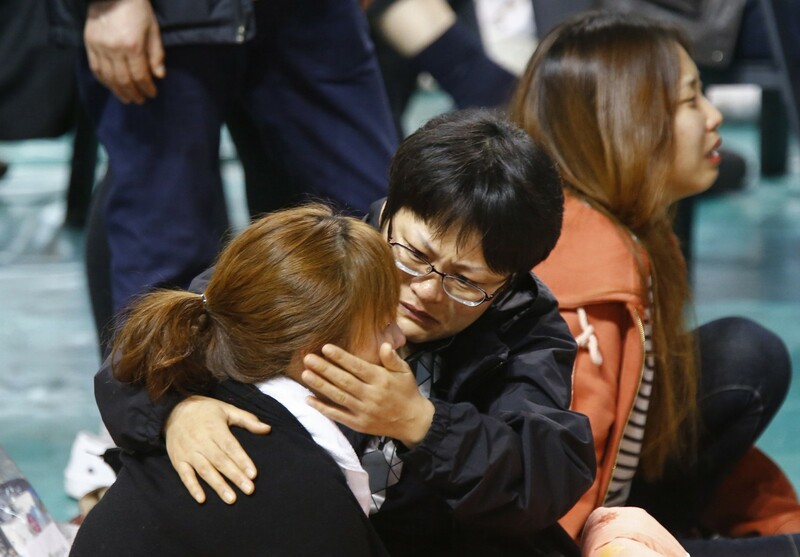 The funeral for the school's vice-principal, who killed himself on Friday, will take place on Monday. 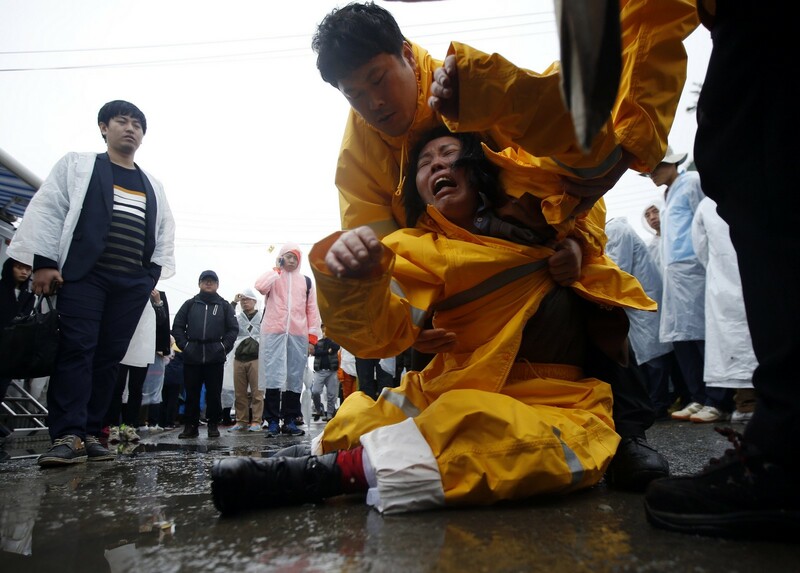 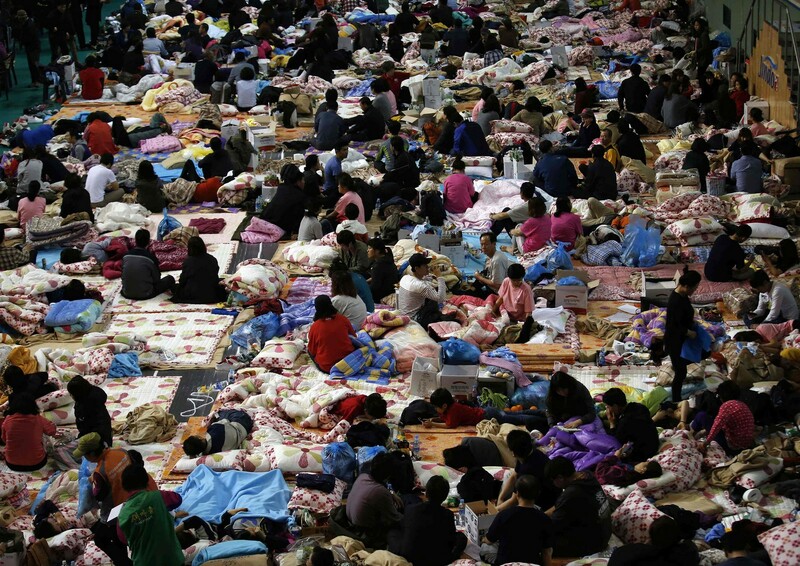 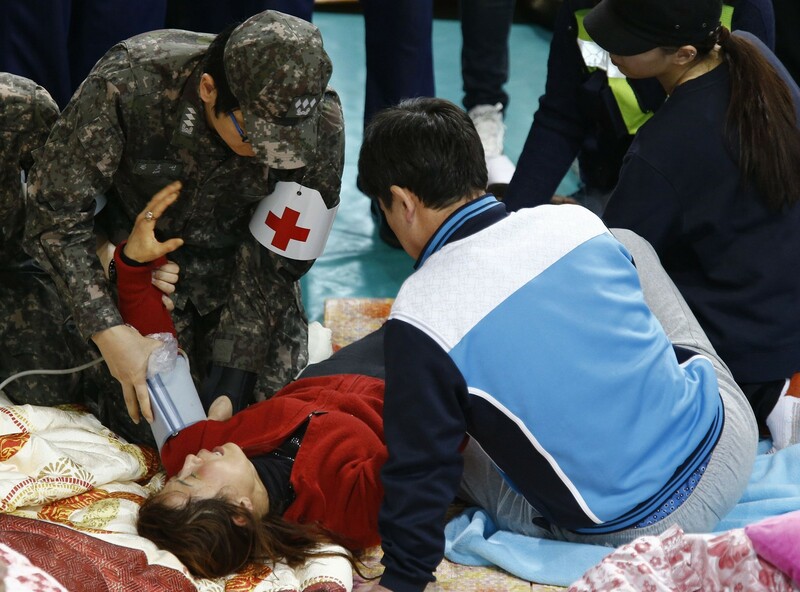 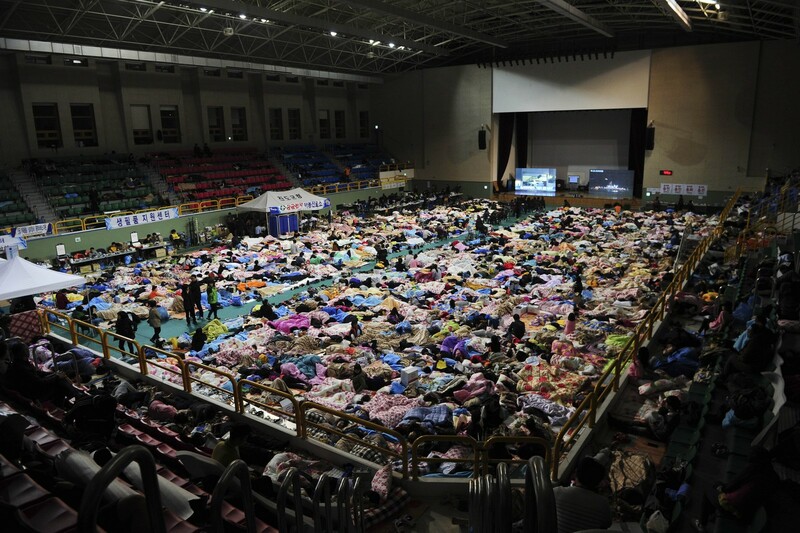 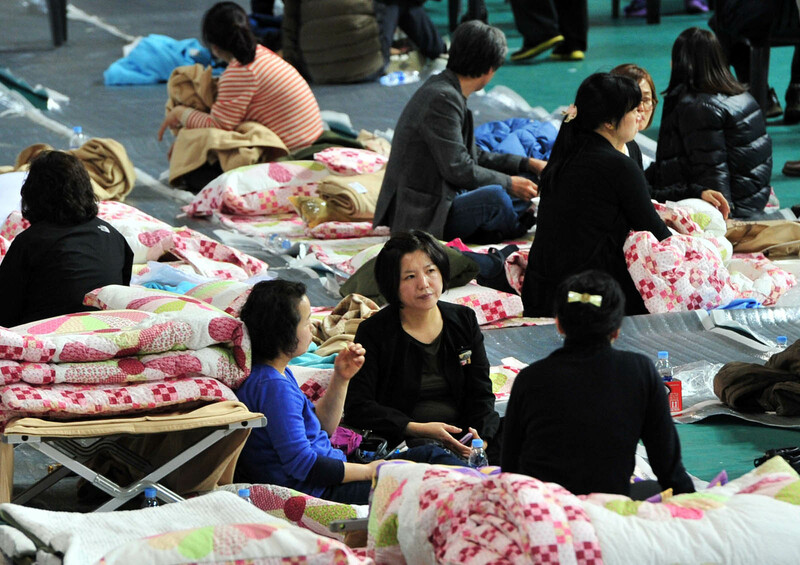 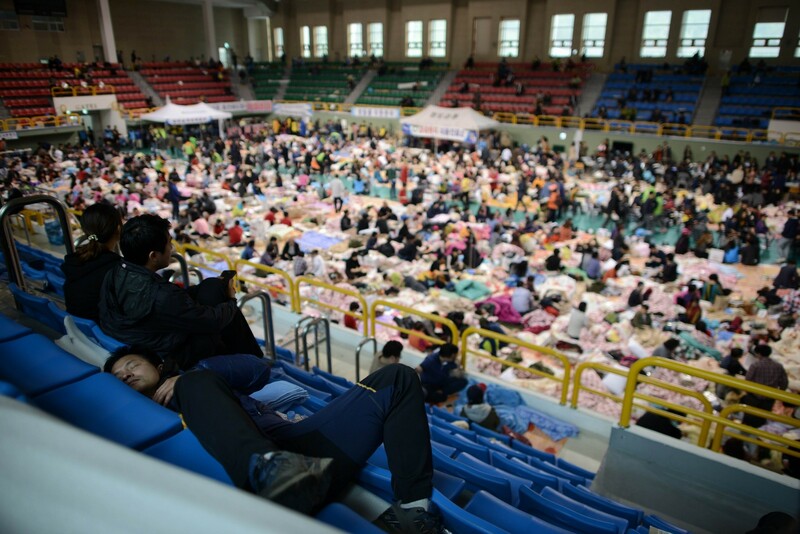 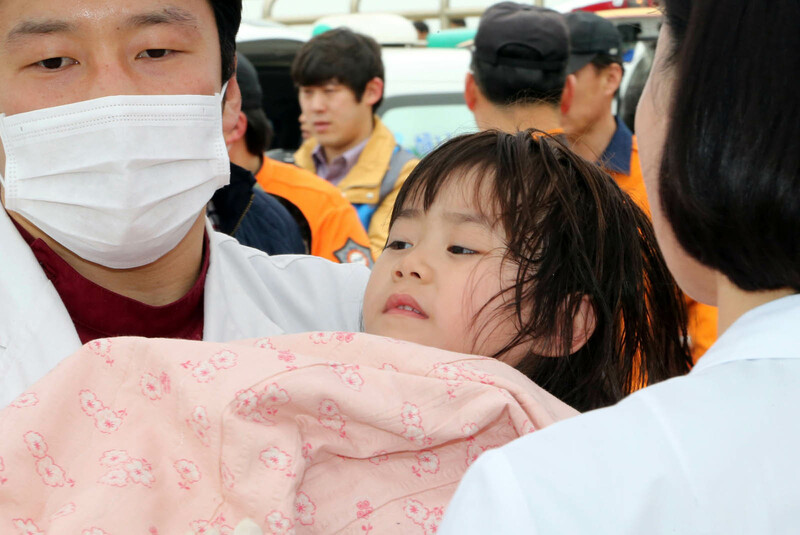 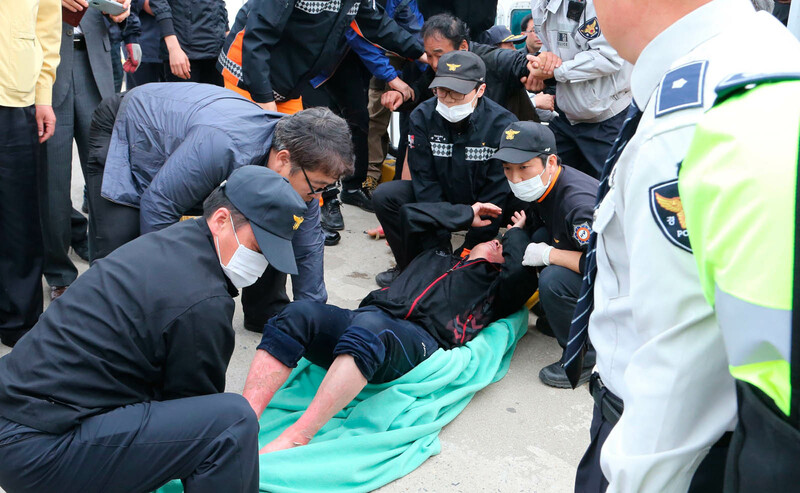 The confirmed death toll from the disaster now stands at 49 with 253 people still unaccounted for. 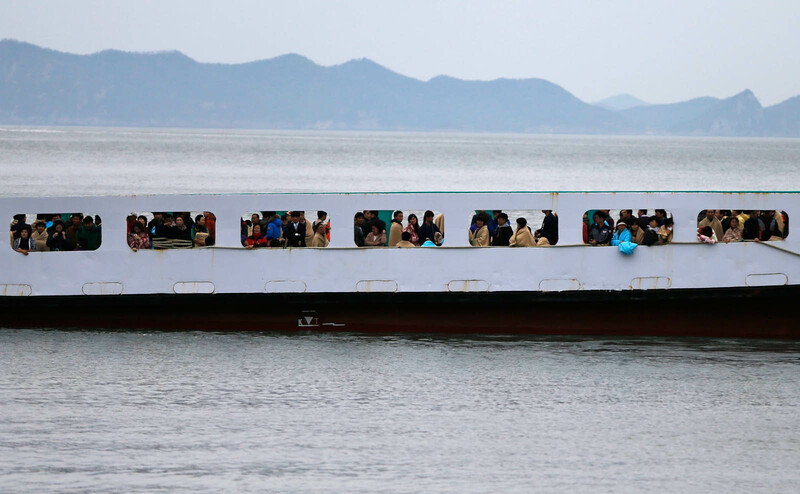 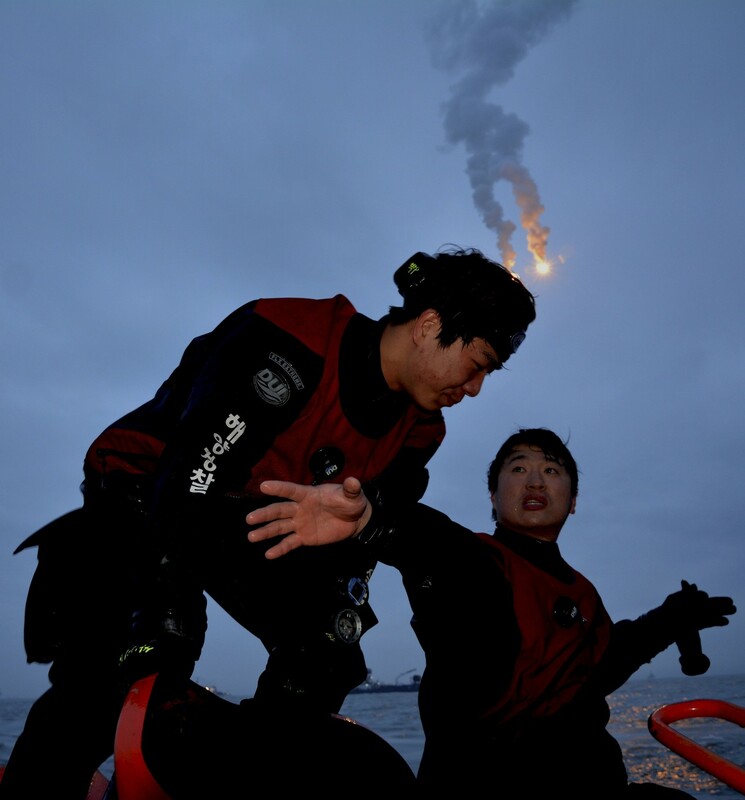 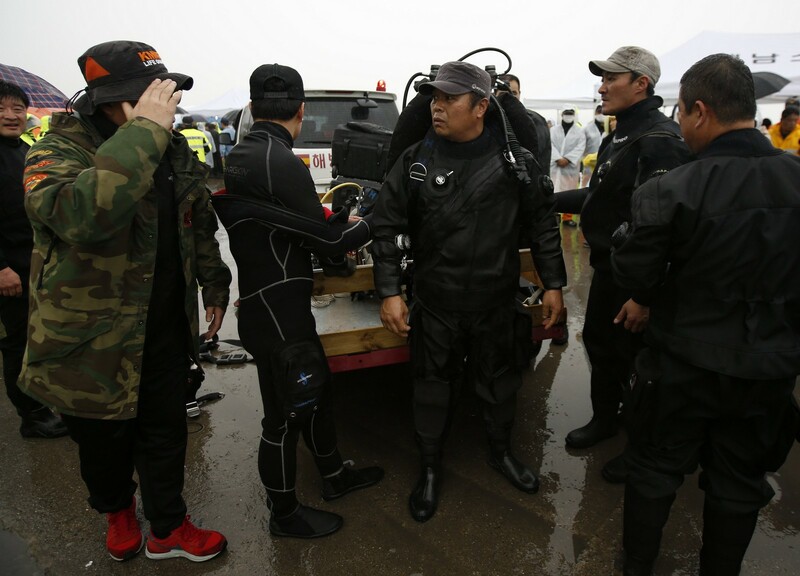 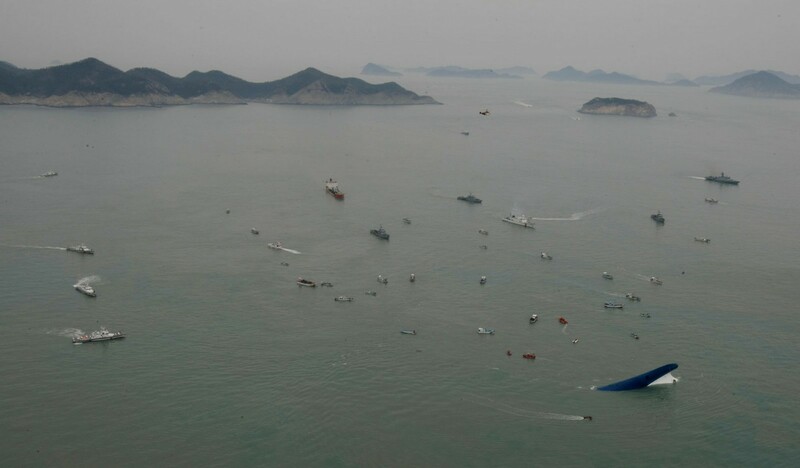 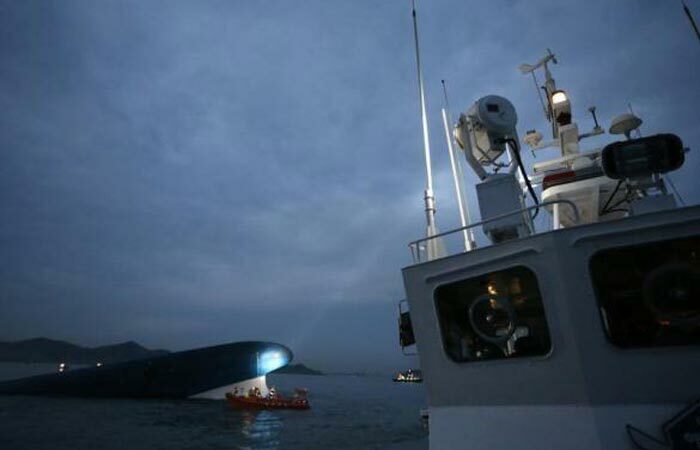 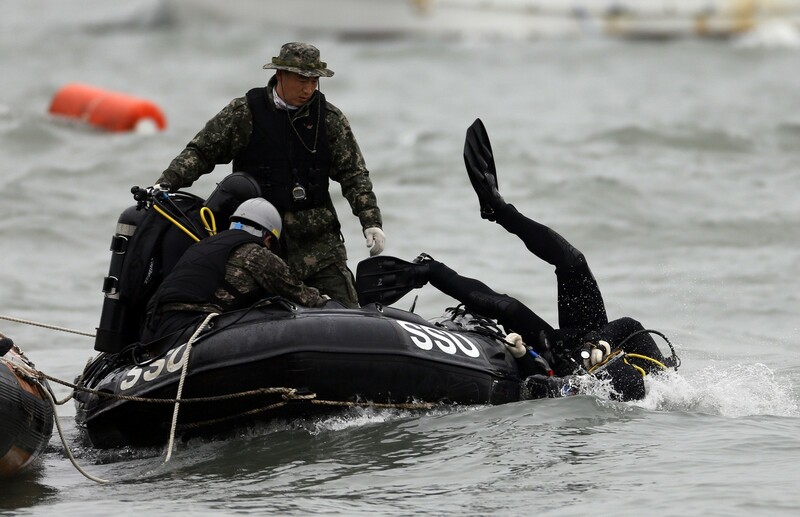 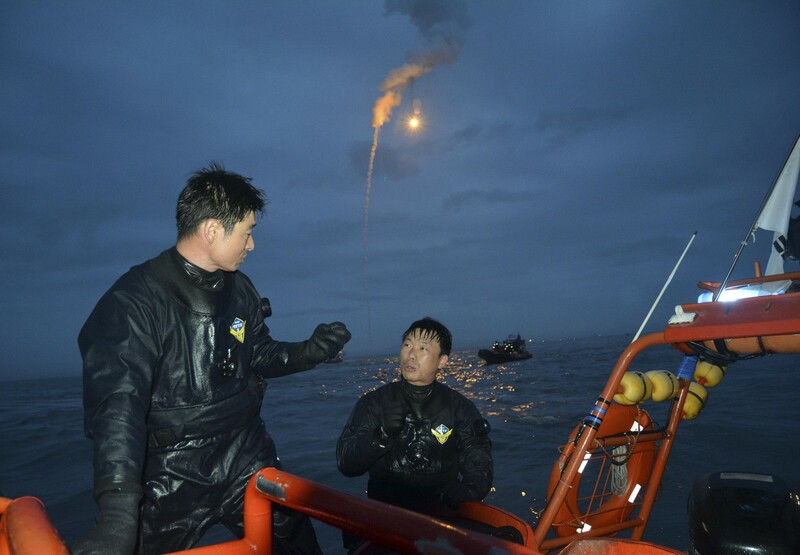 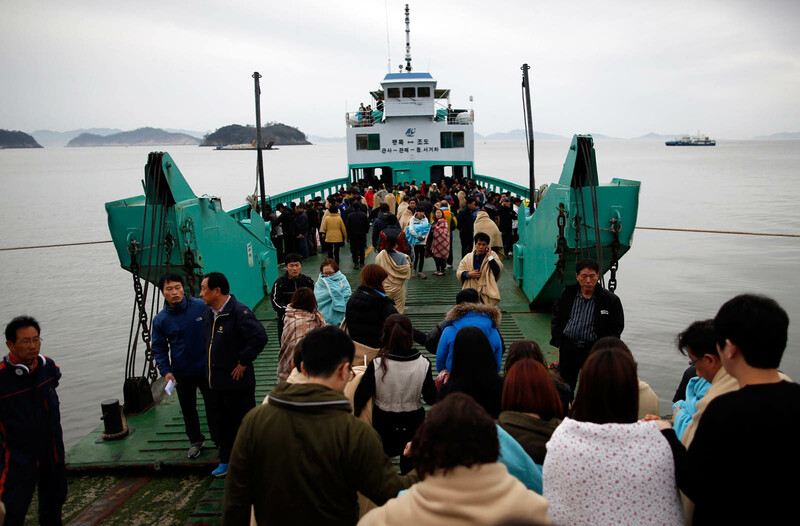 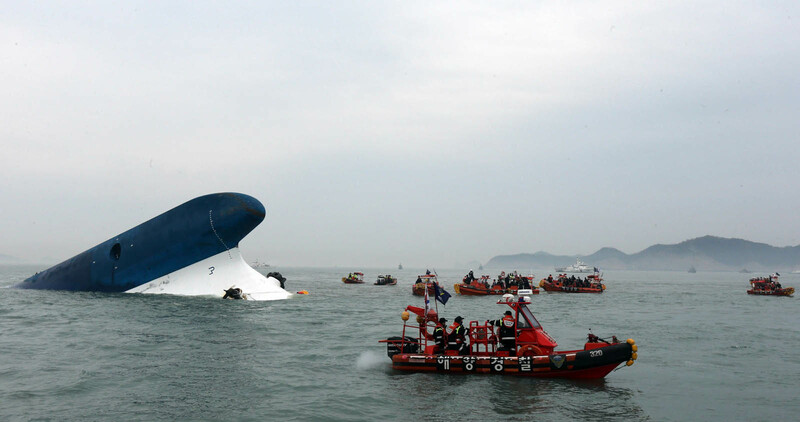 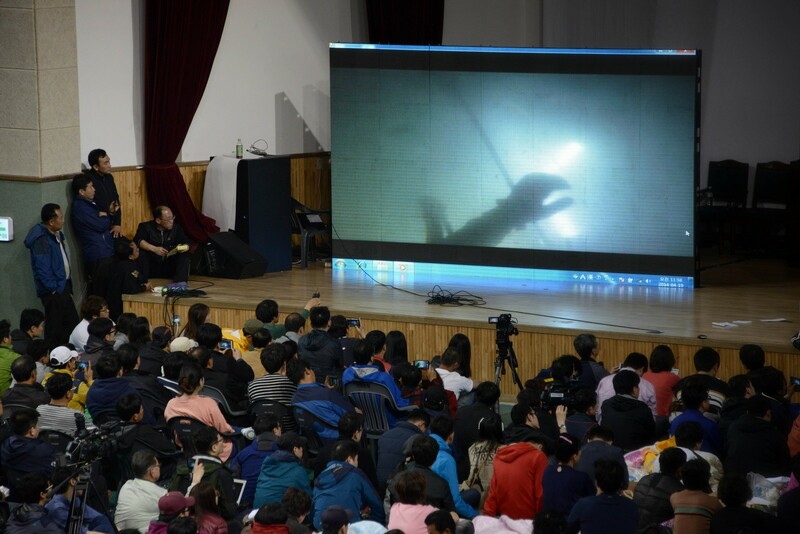 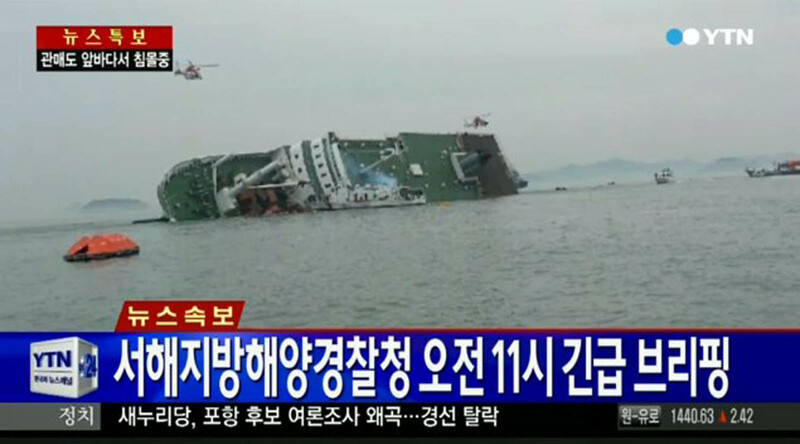 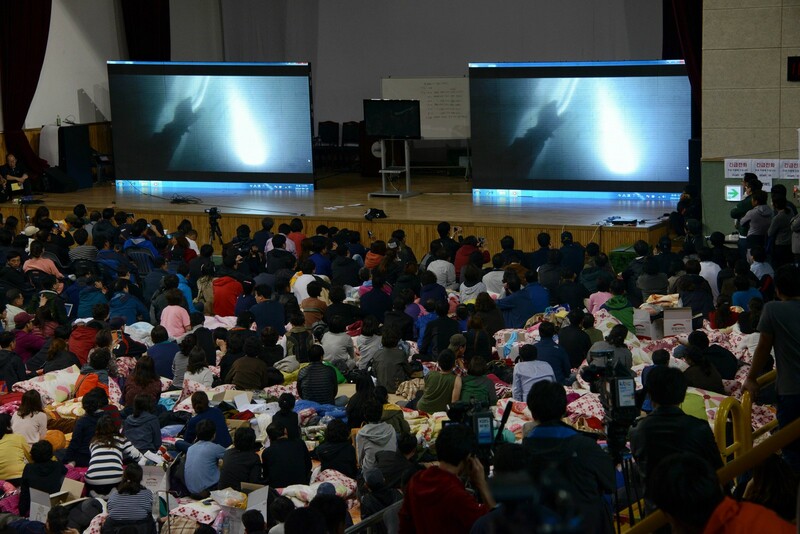 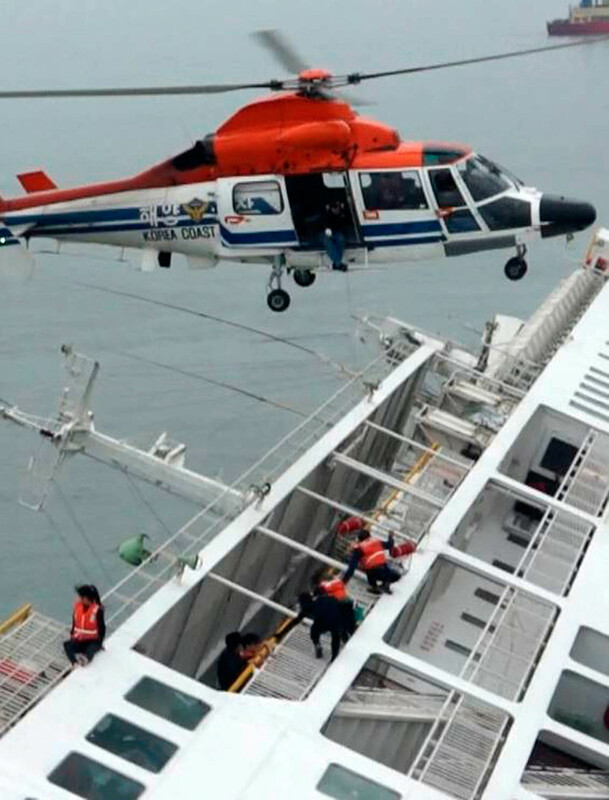 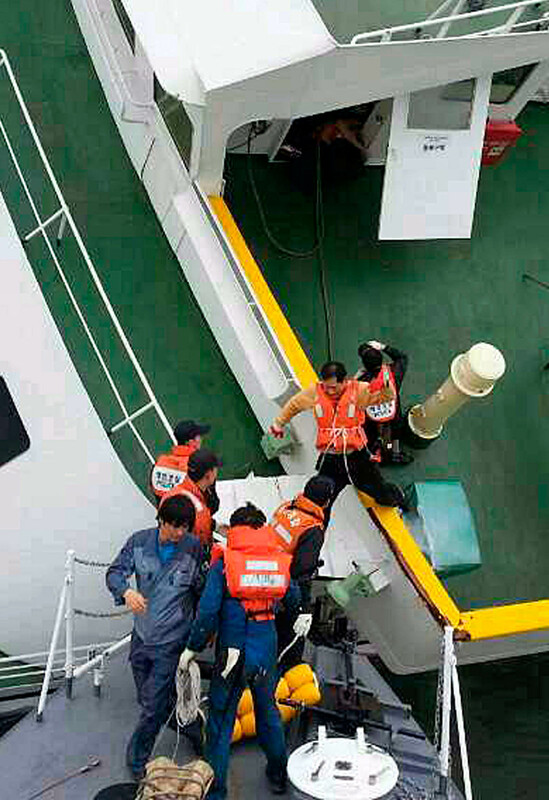 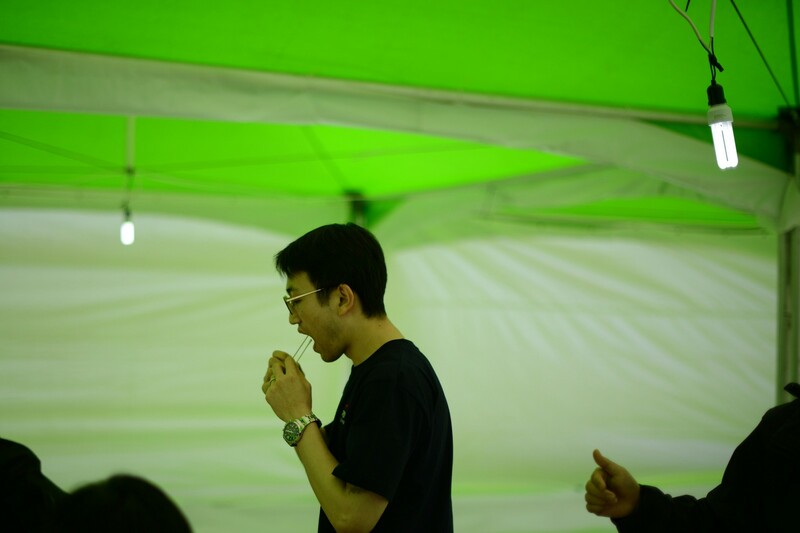 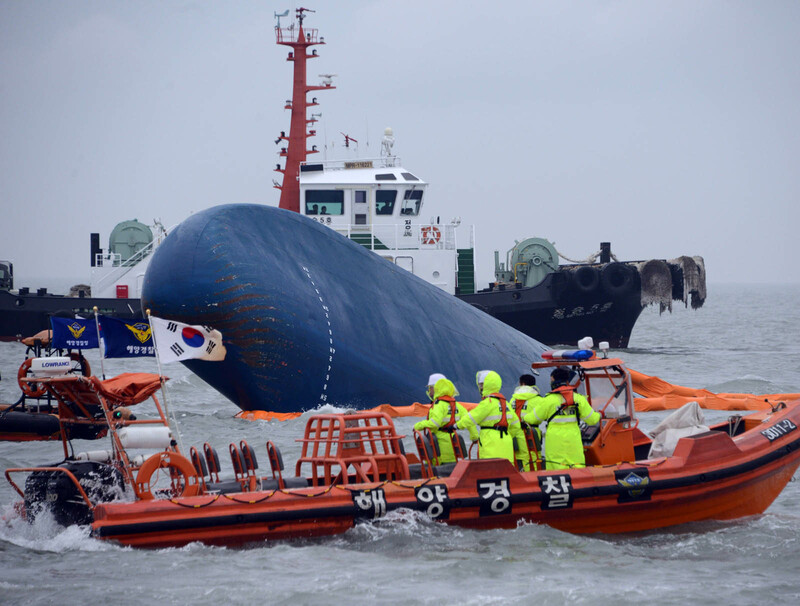 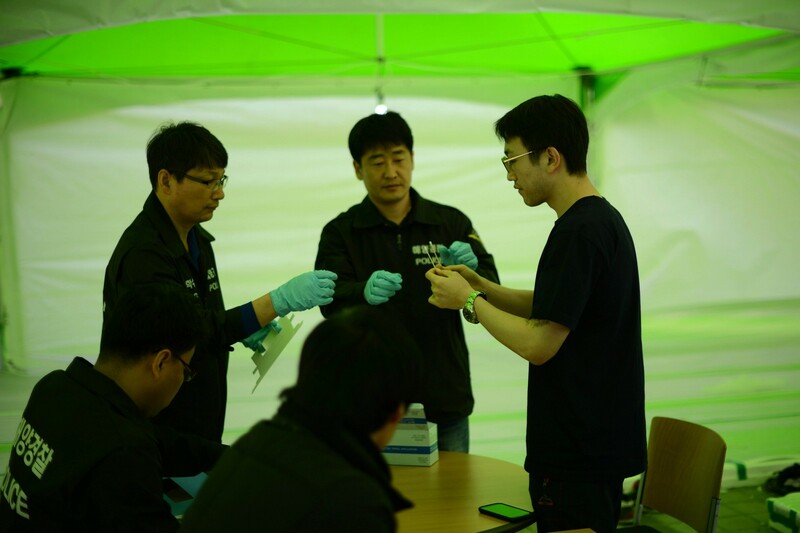 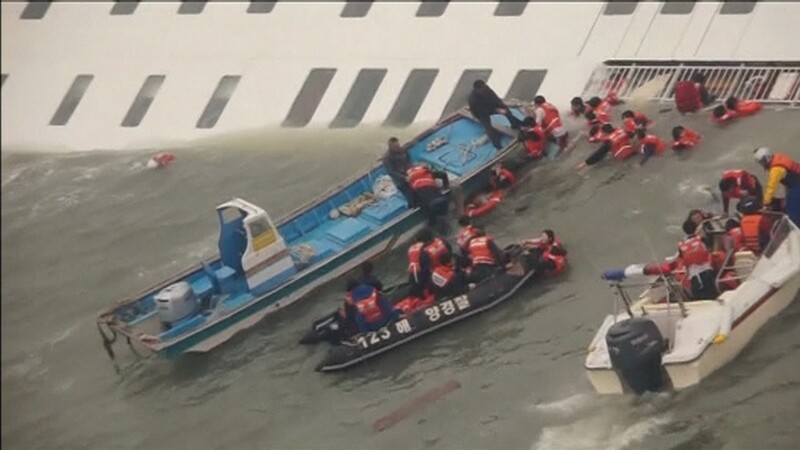 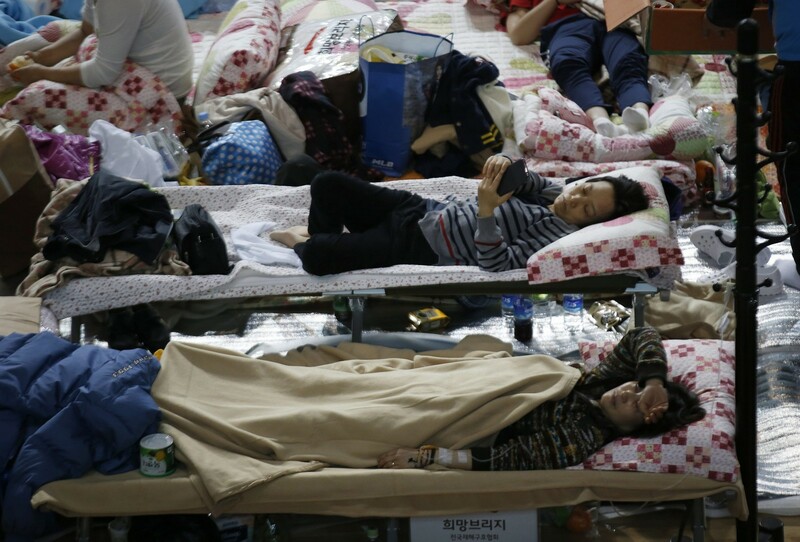 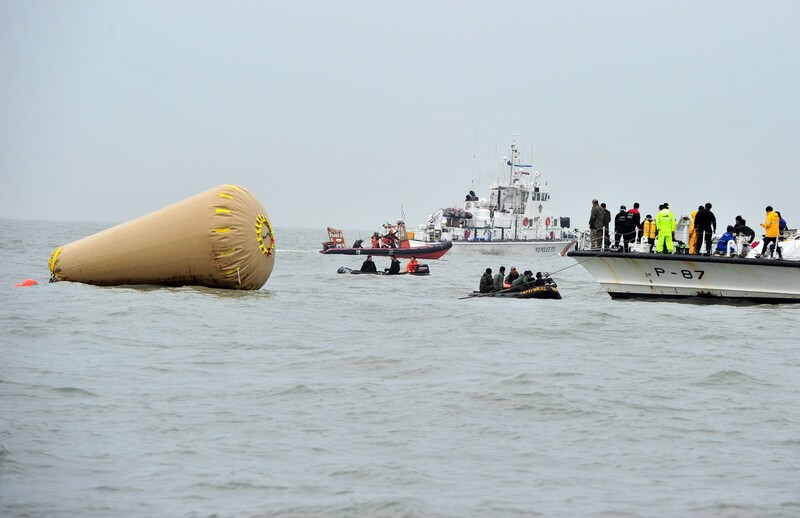 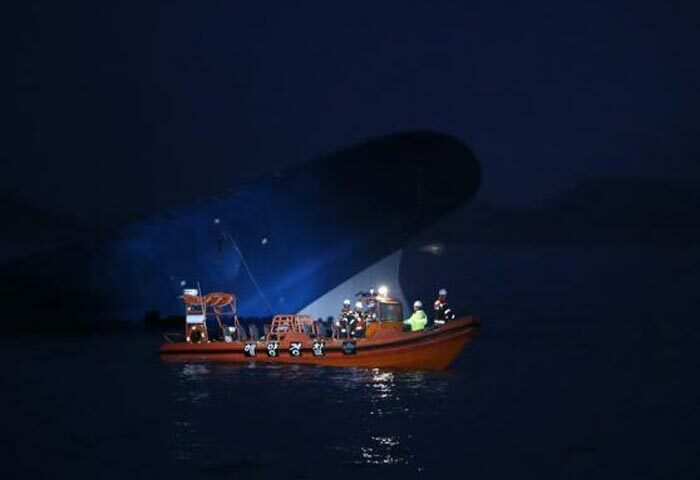 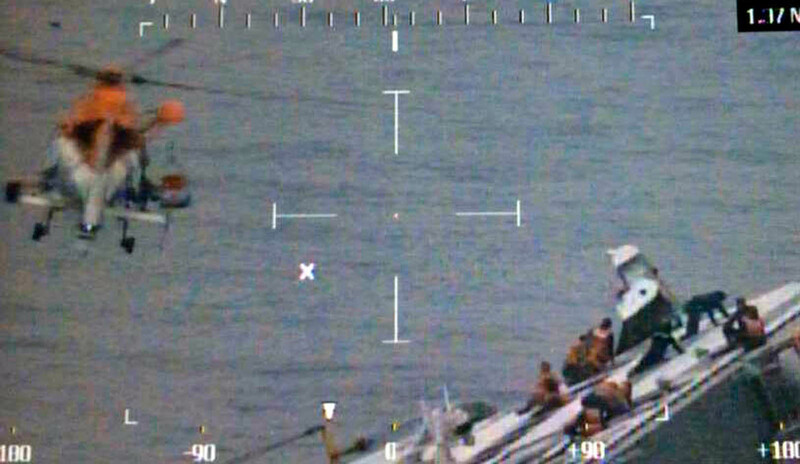 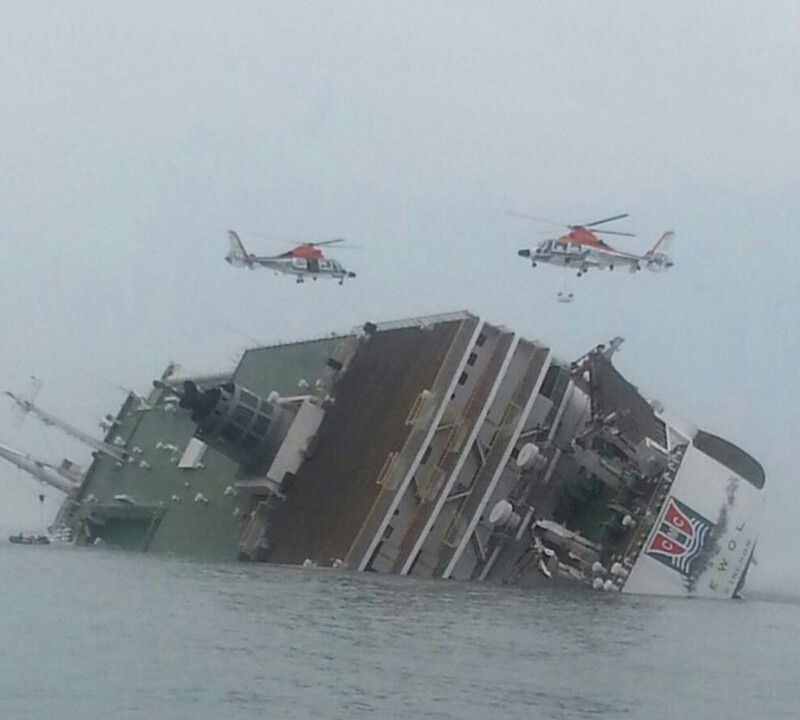 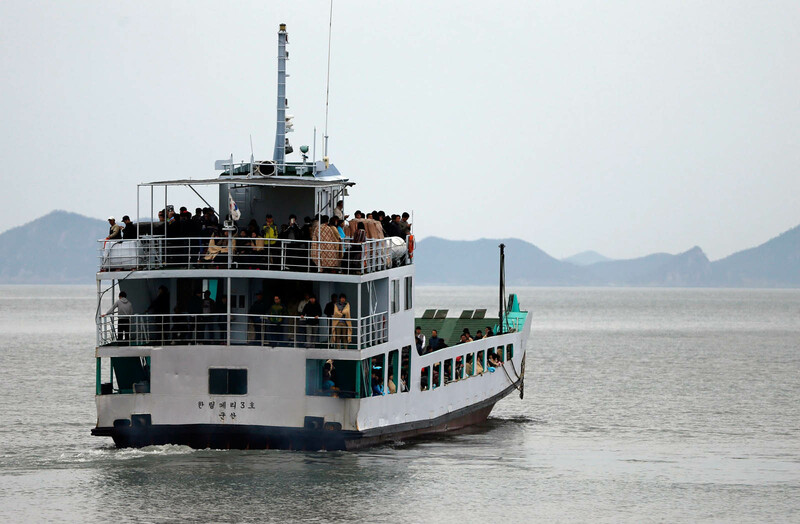 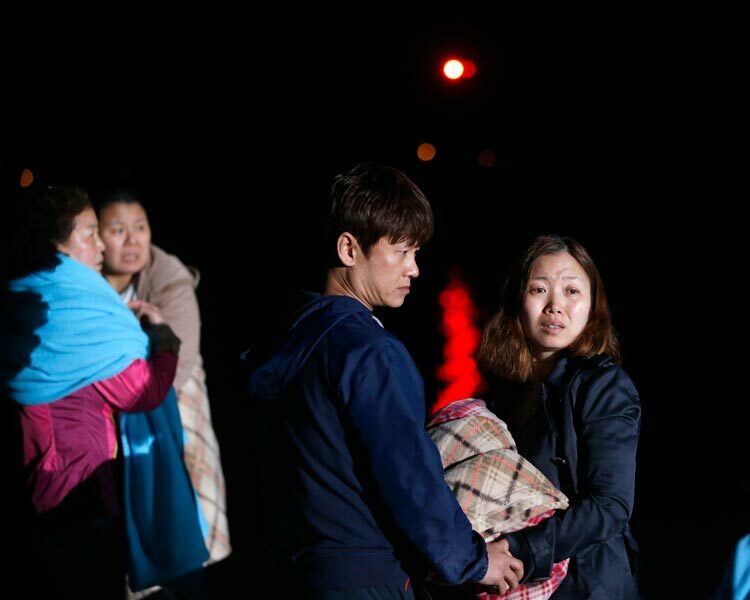 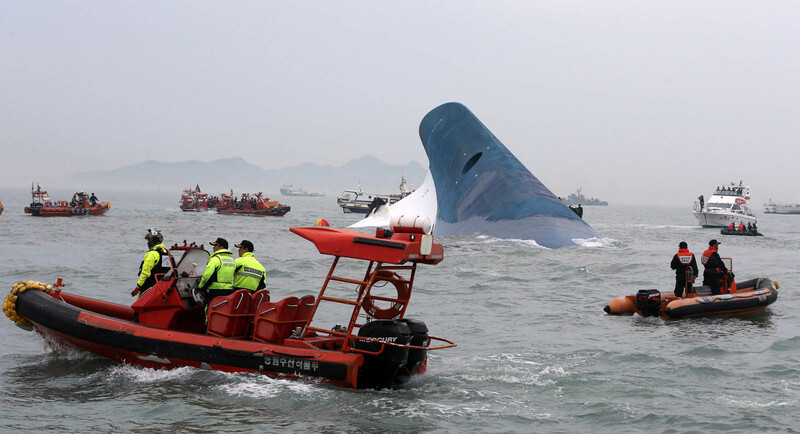 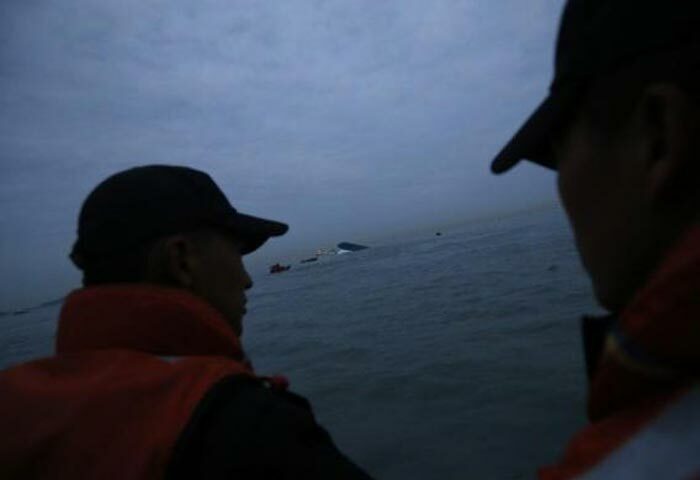 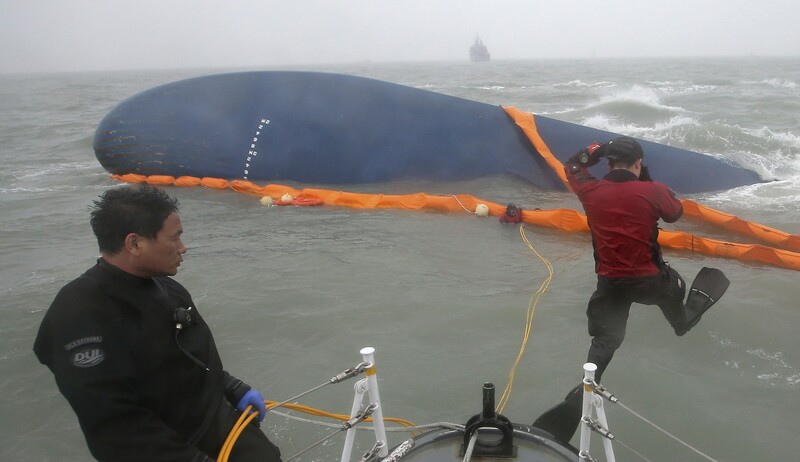 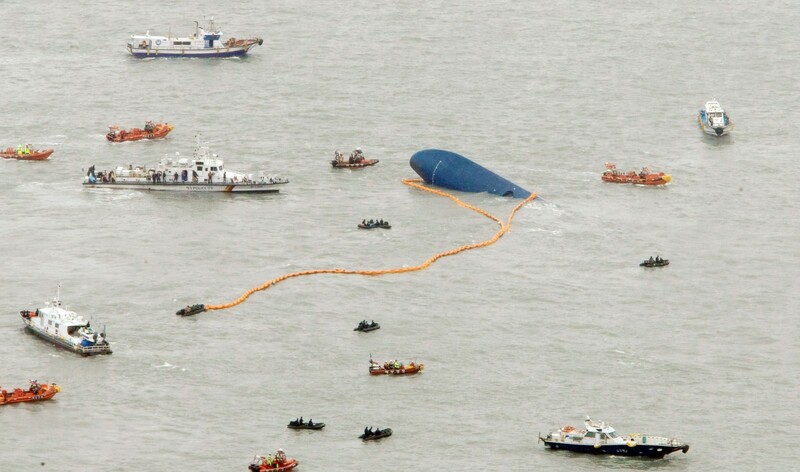 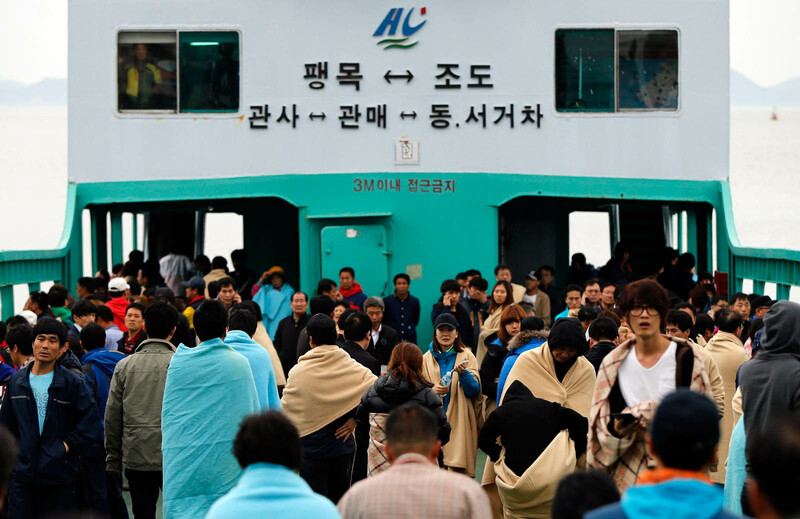 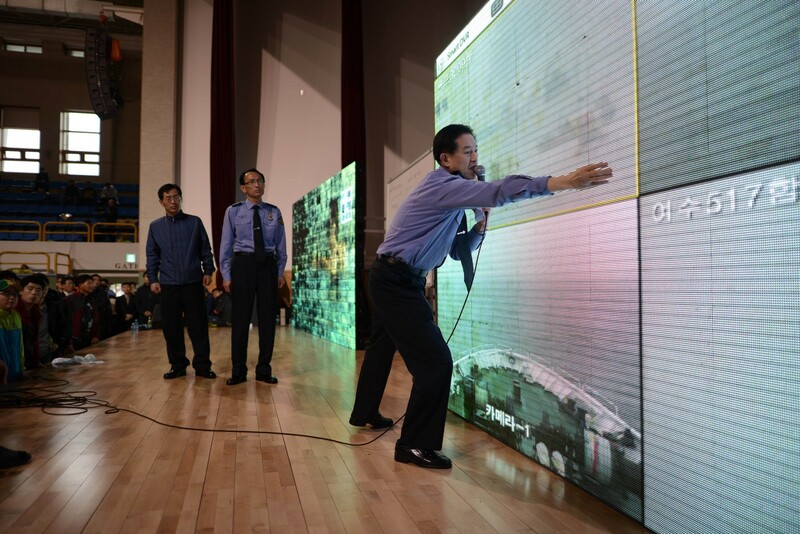 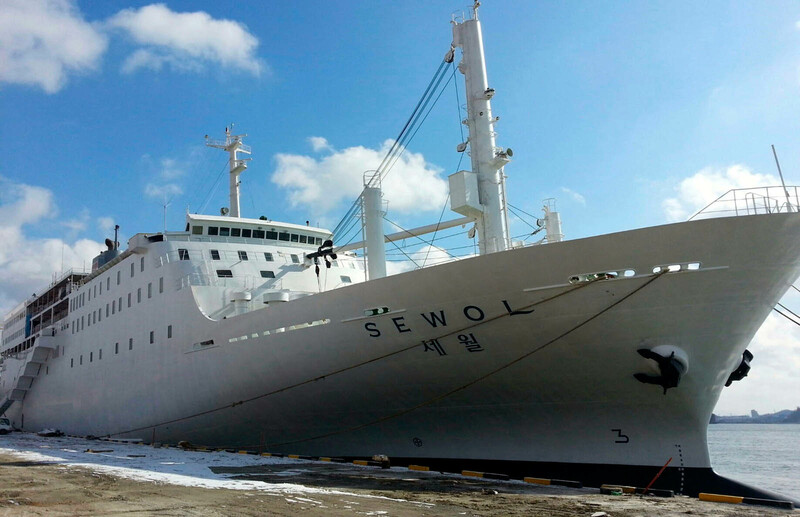 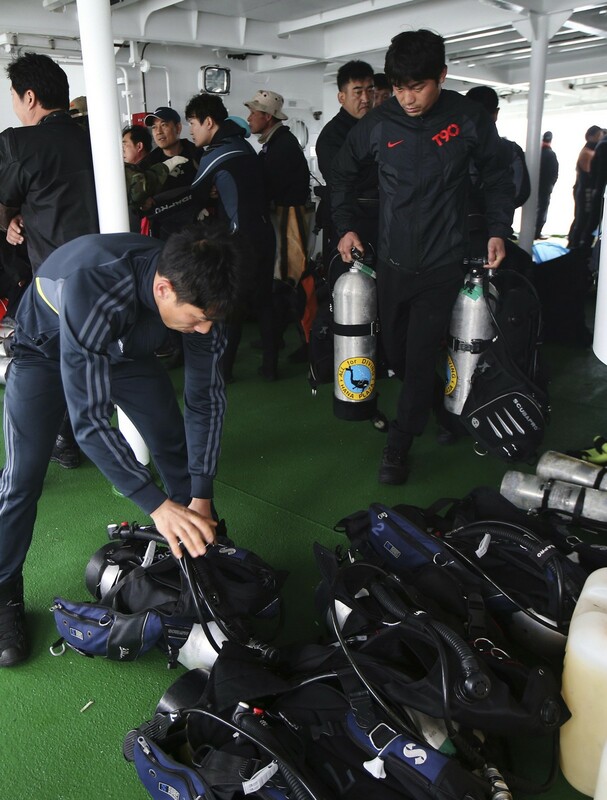 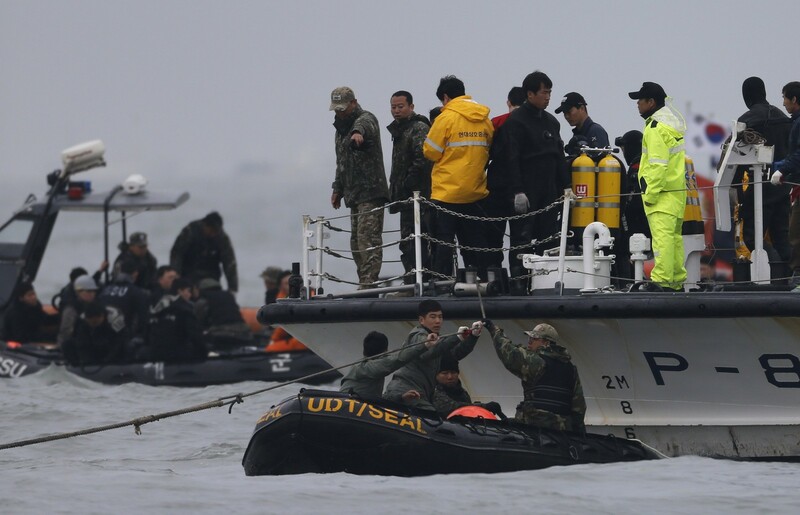 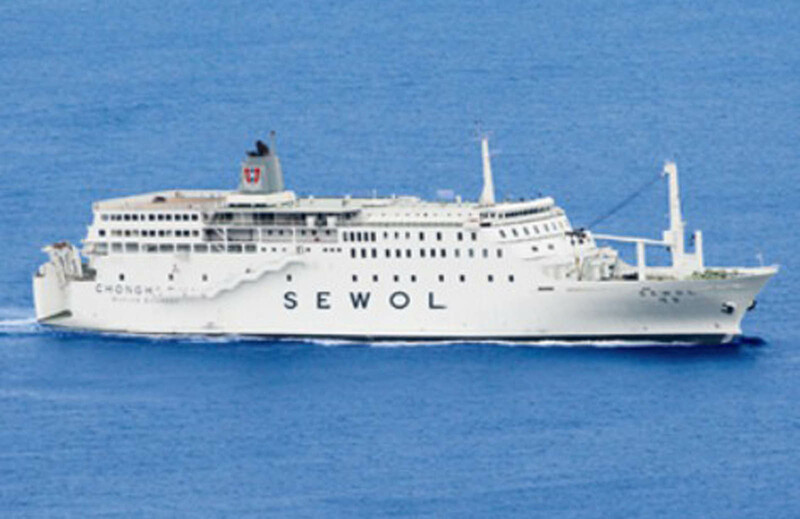 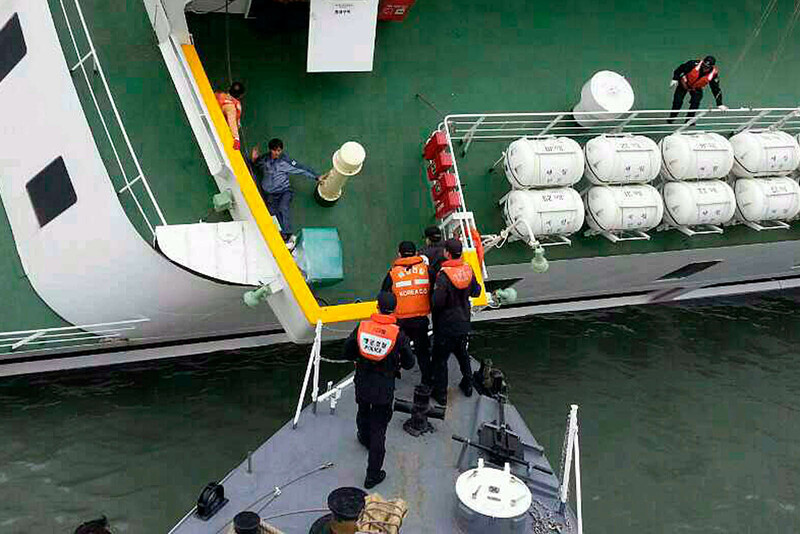 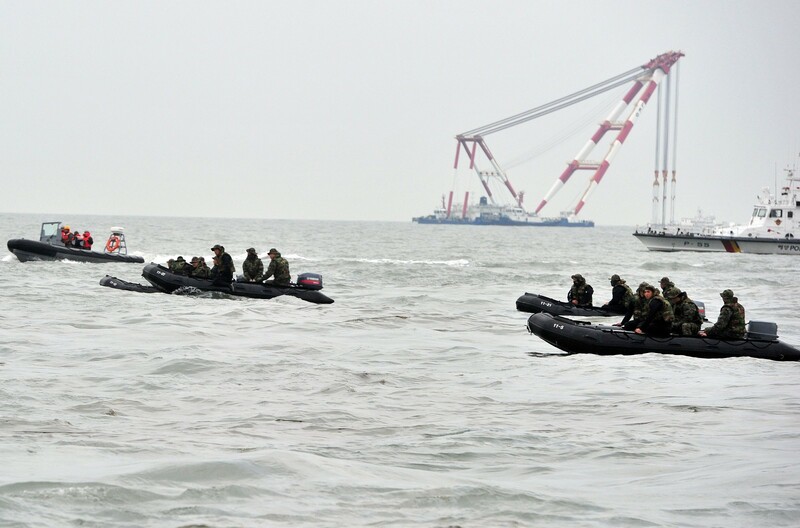 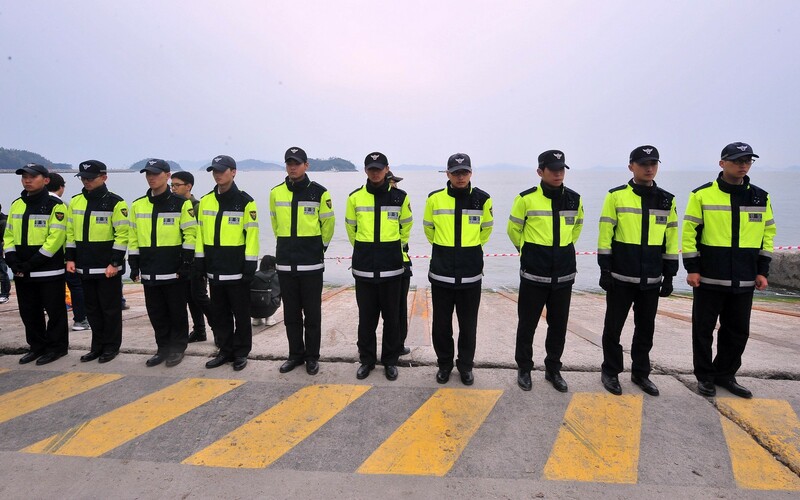 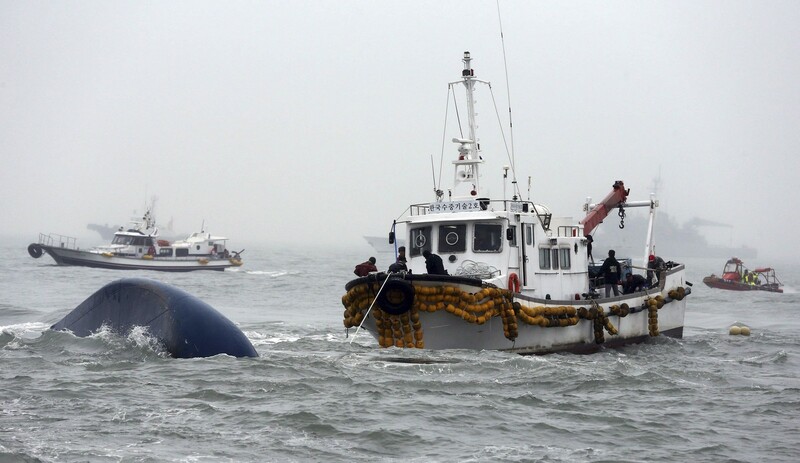 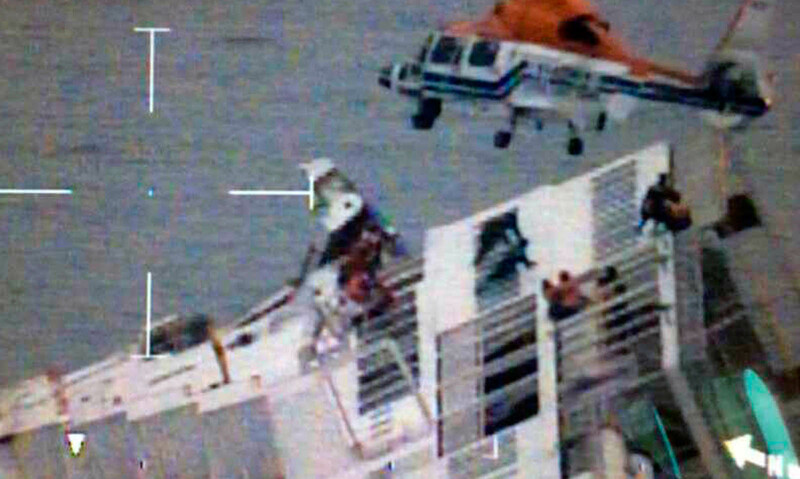 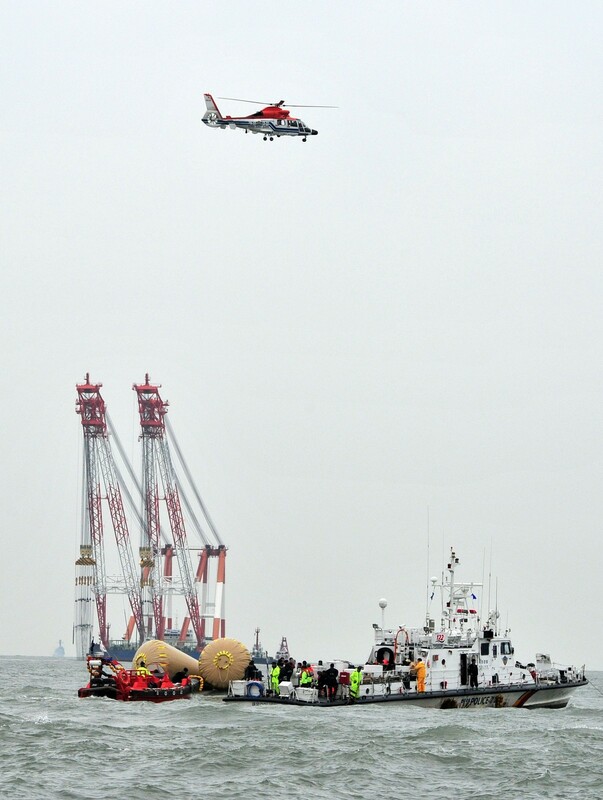 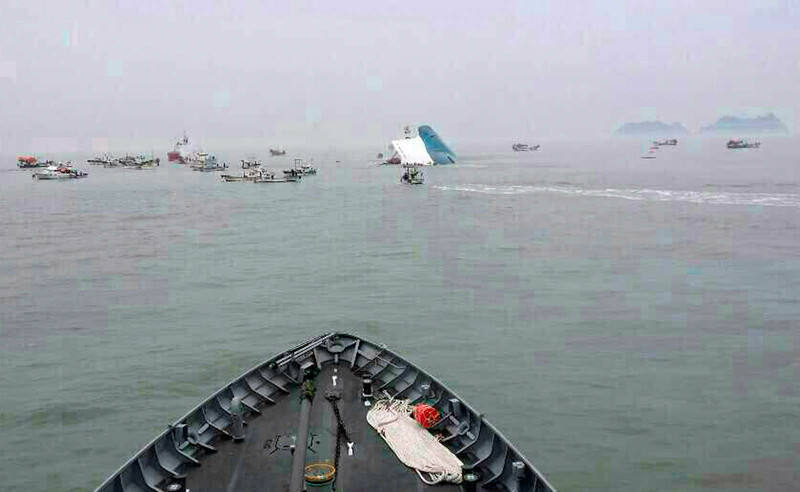 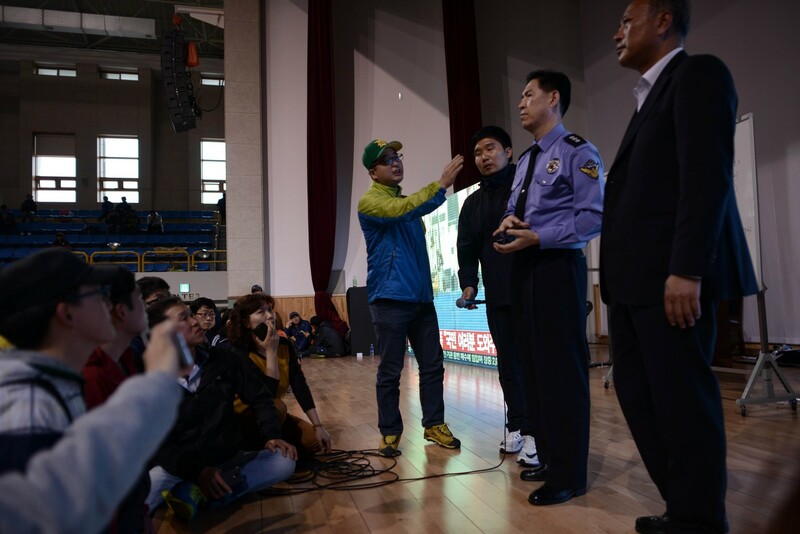 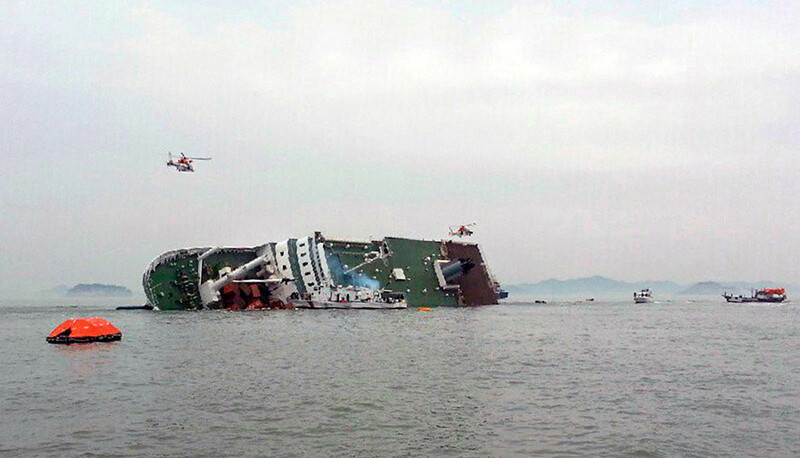 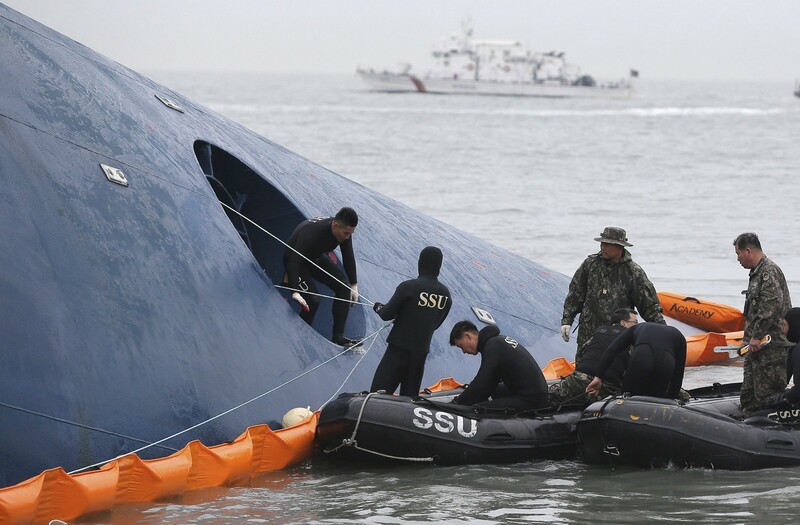 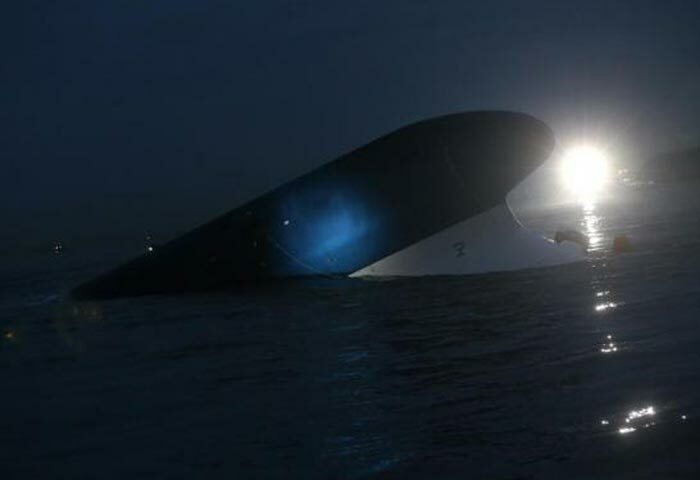 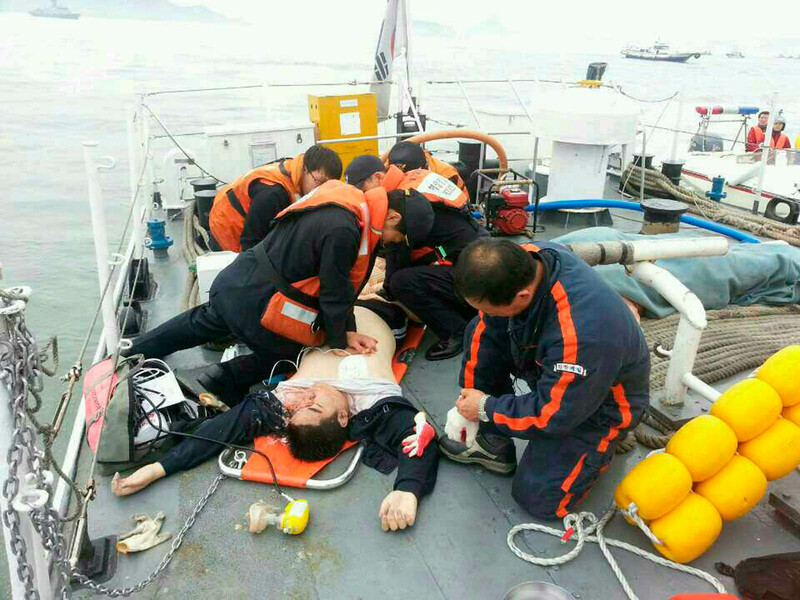 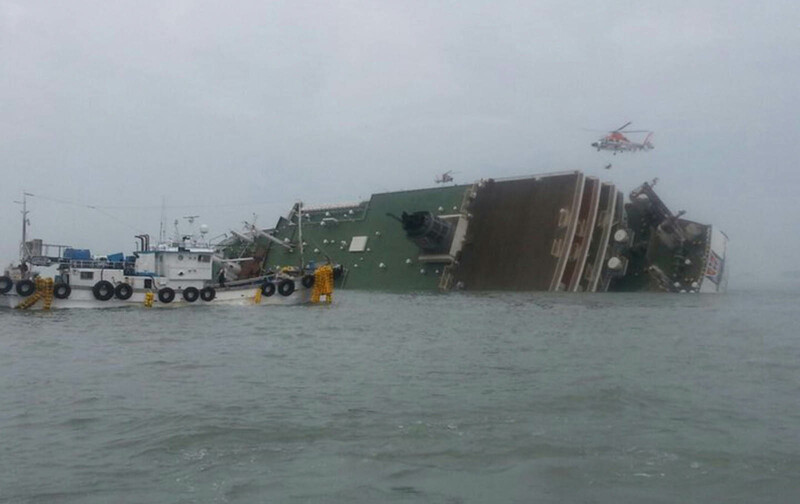 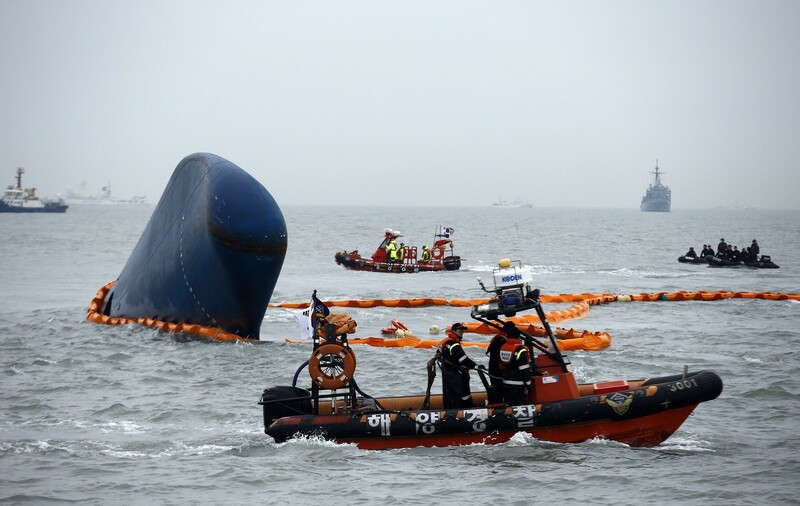 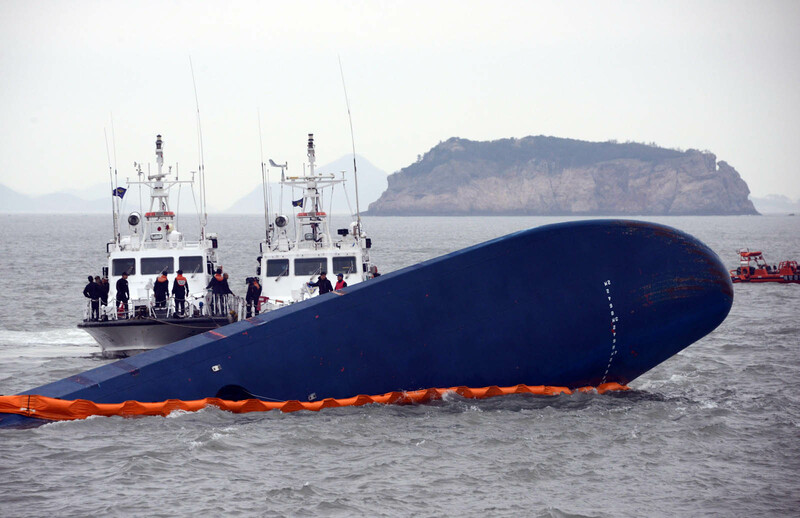 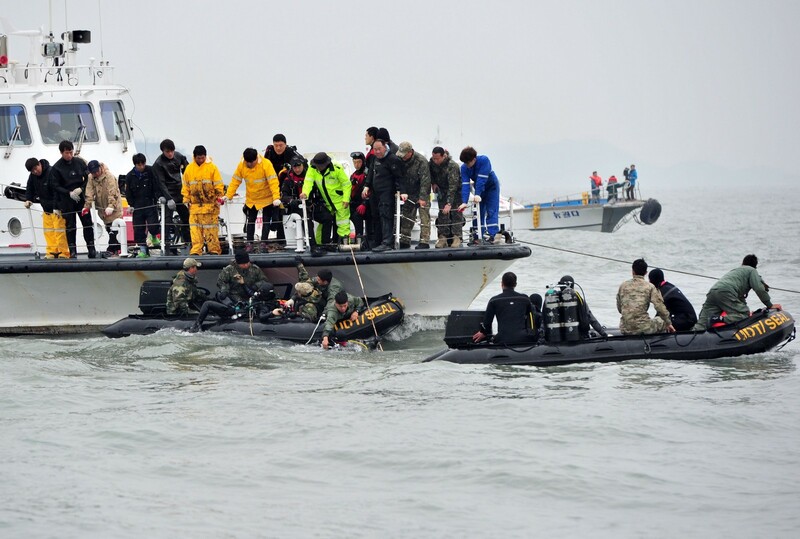 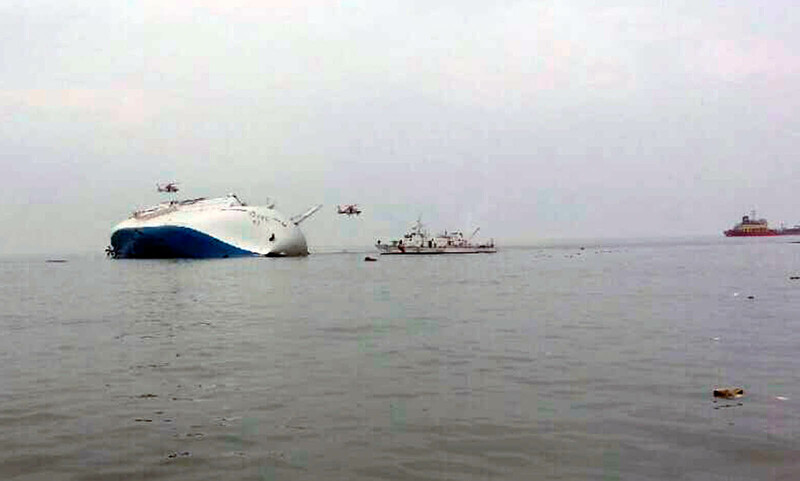 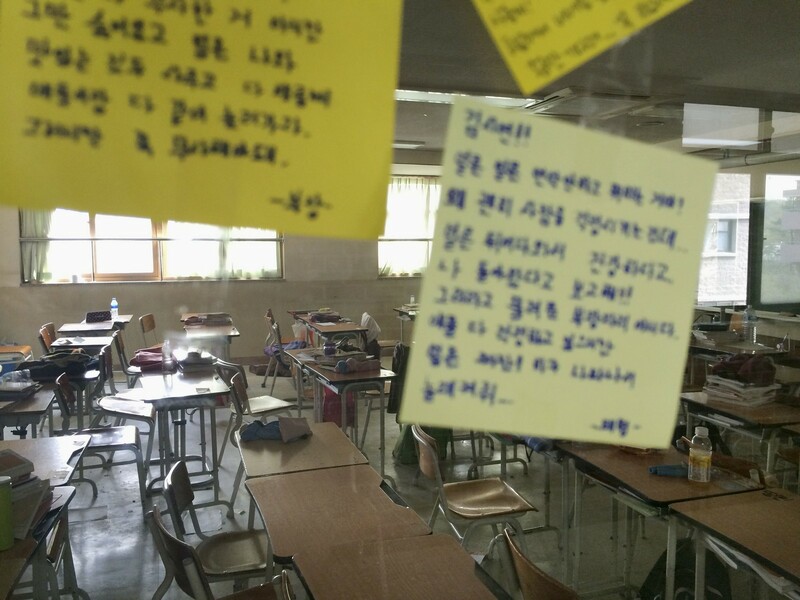 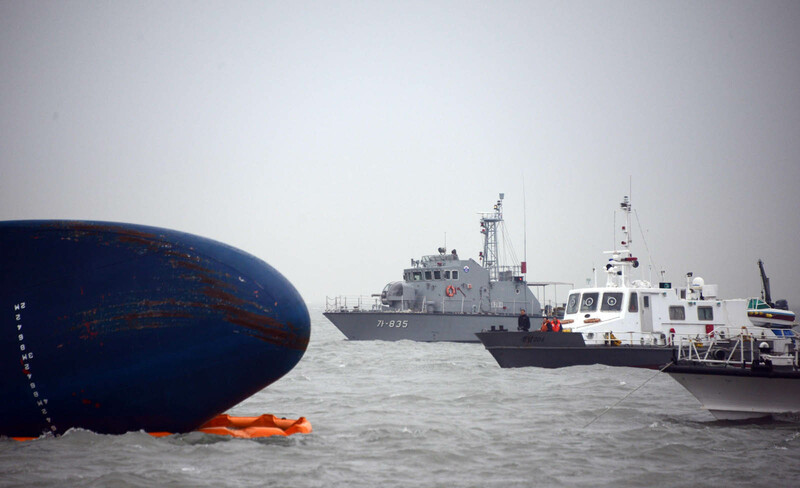 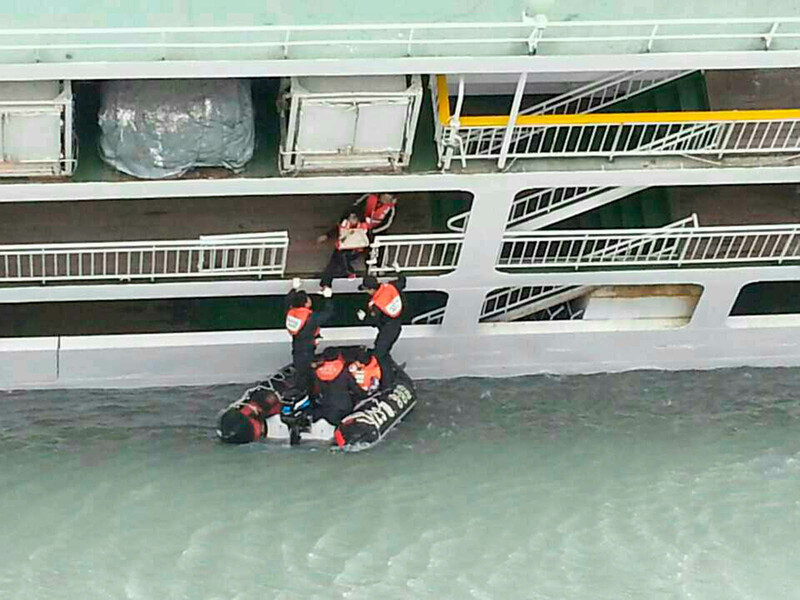 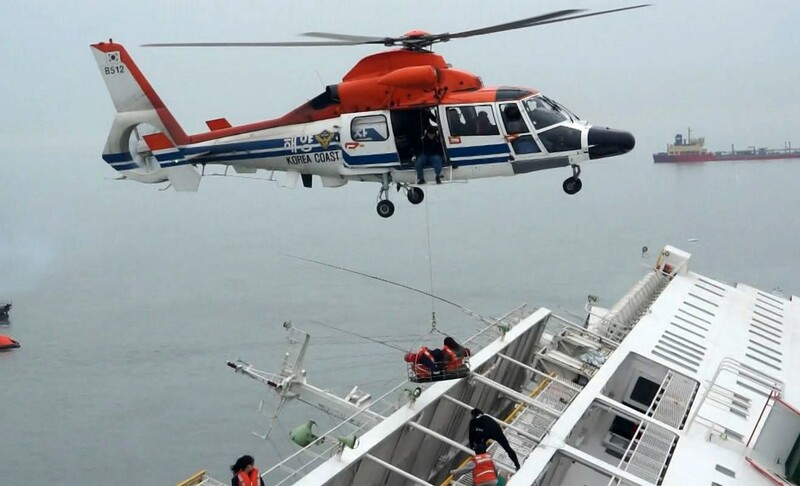 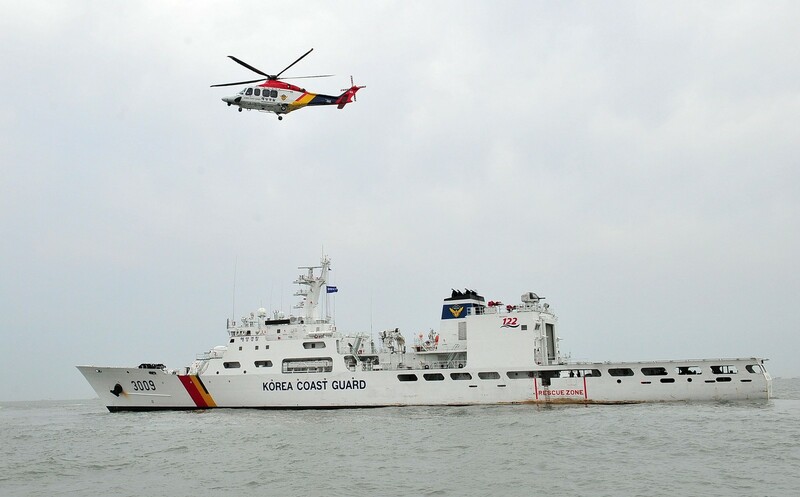 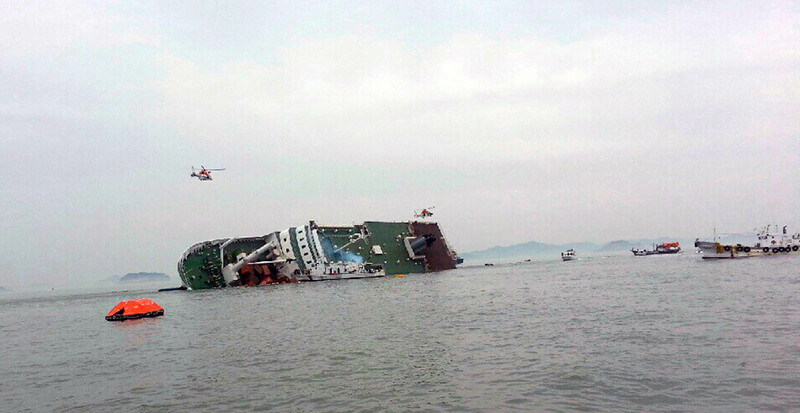 Of the 476 people on board when the 6,825-tonne Sewol capsized and sank on Wednesday morning, more than 350 were high school students headed for the holiday island of Jeju.